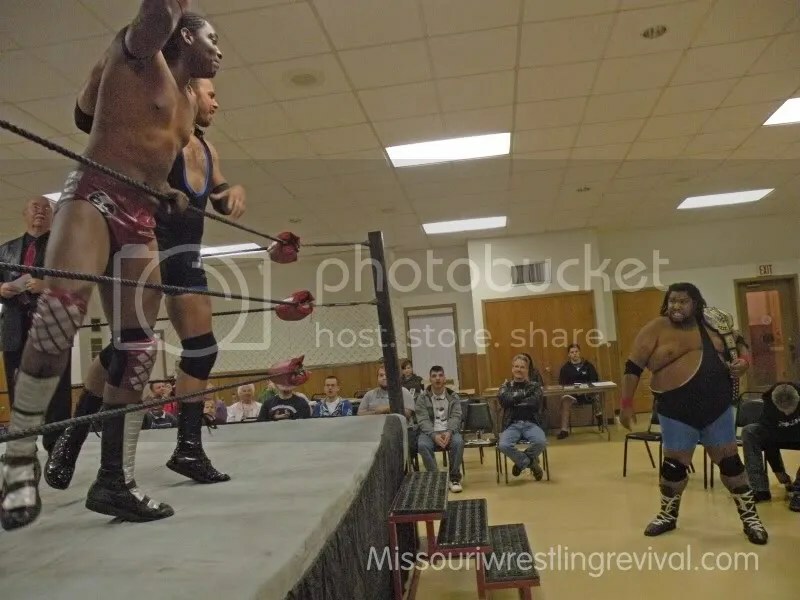 The PWE Champion the Mississippi Madman and Eugene hopes to sweep the floor with Mason Beck and Donovan Ruddick later on in the night. 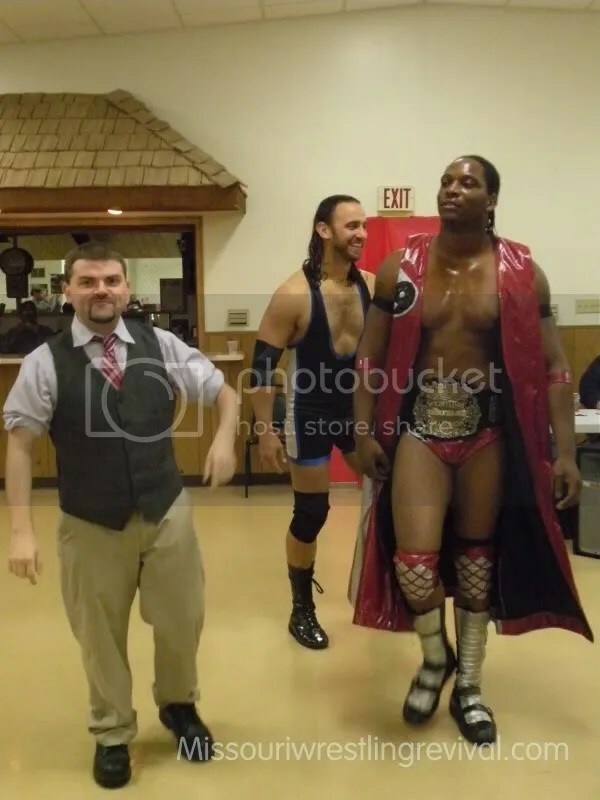 Mason Beck and Donovan Ruddick Are very intimidating. 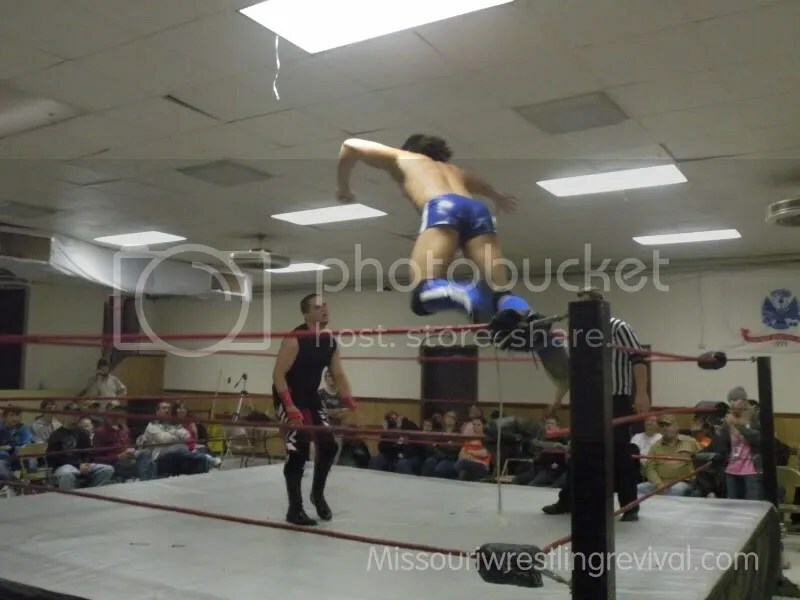 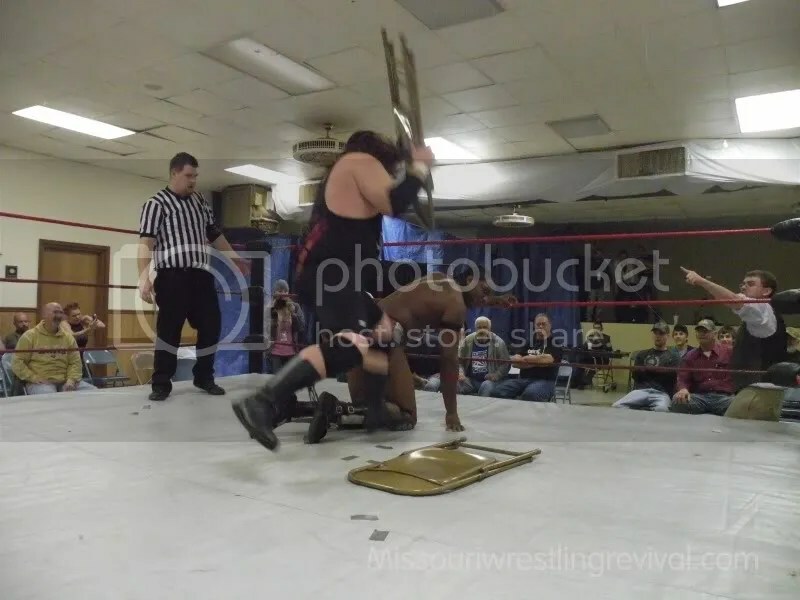 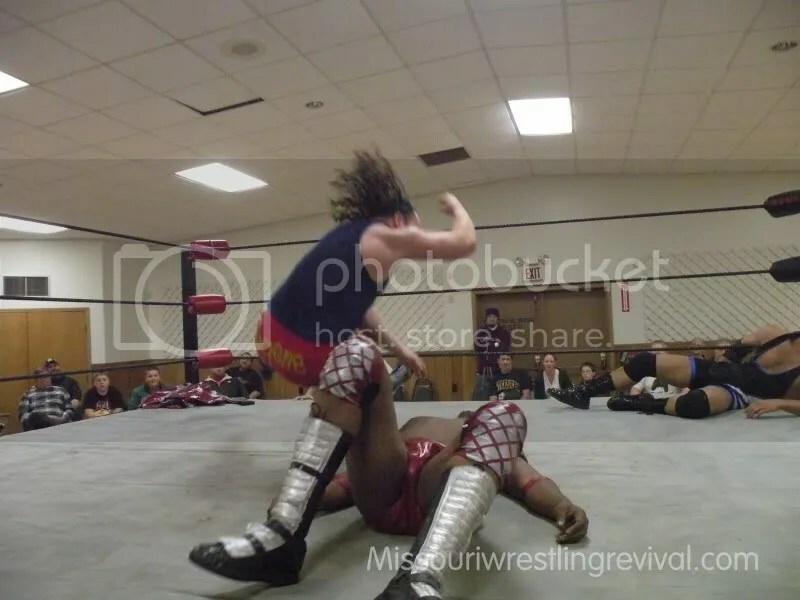 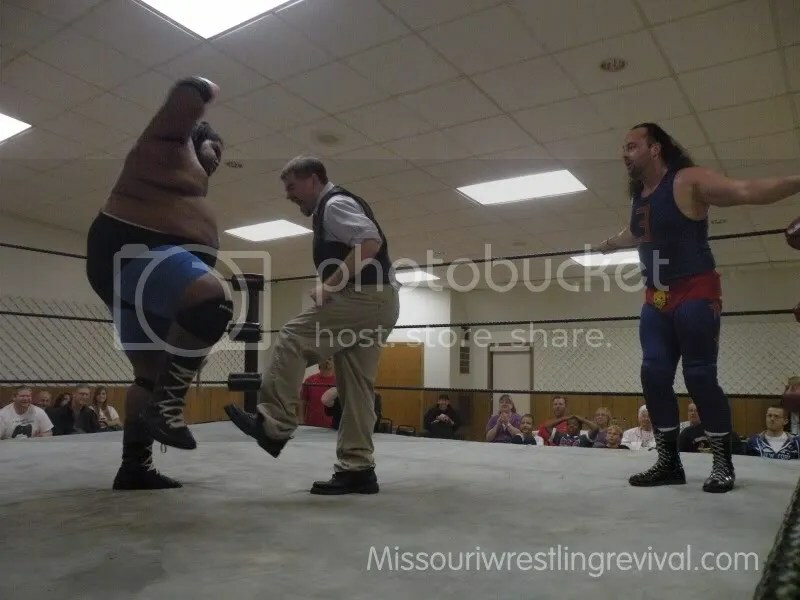 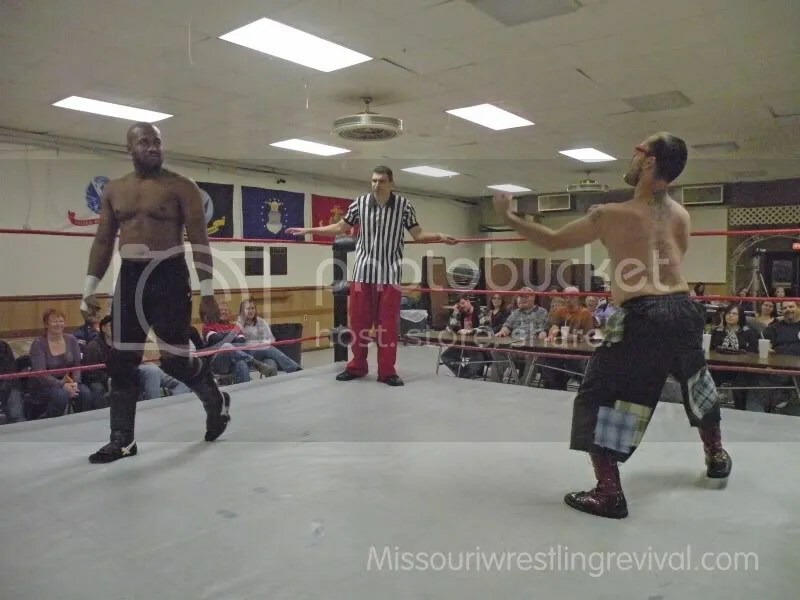 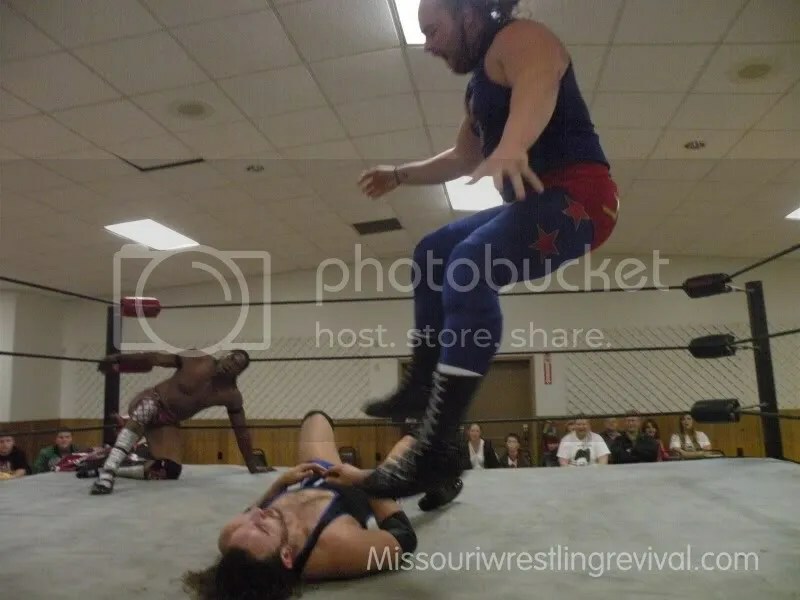 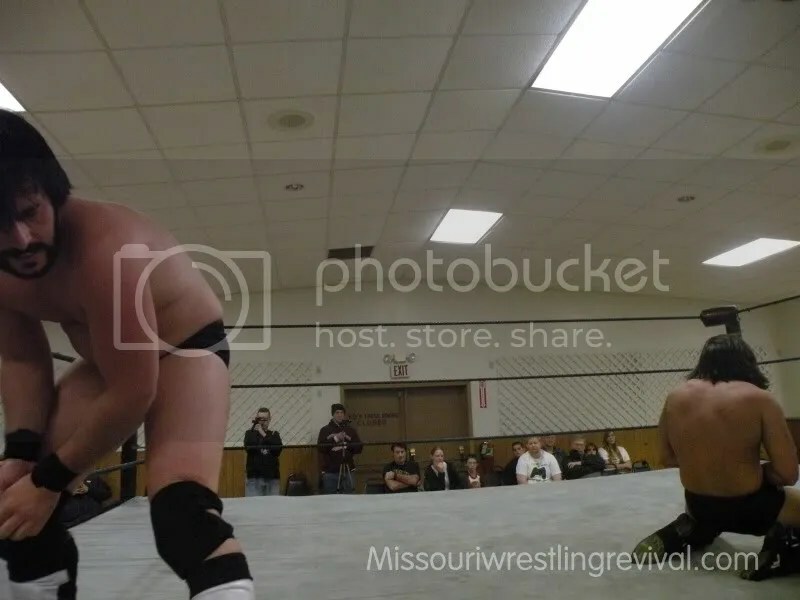 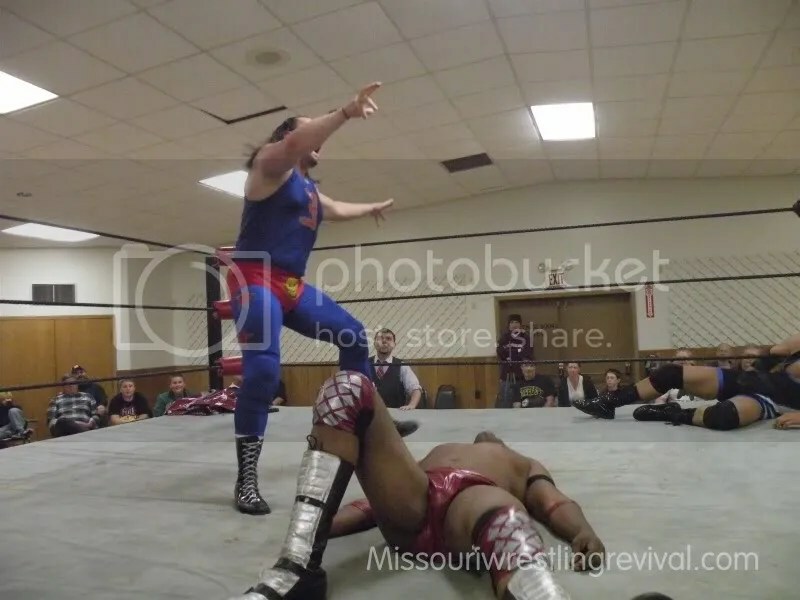 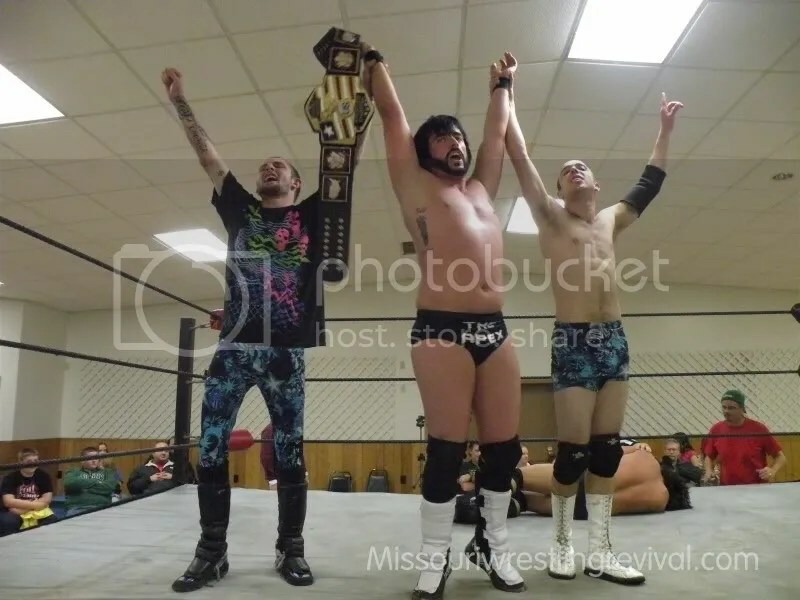 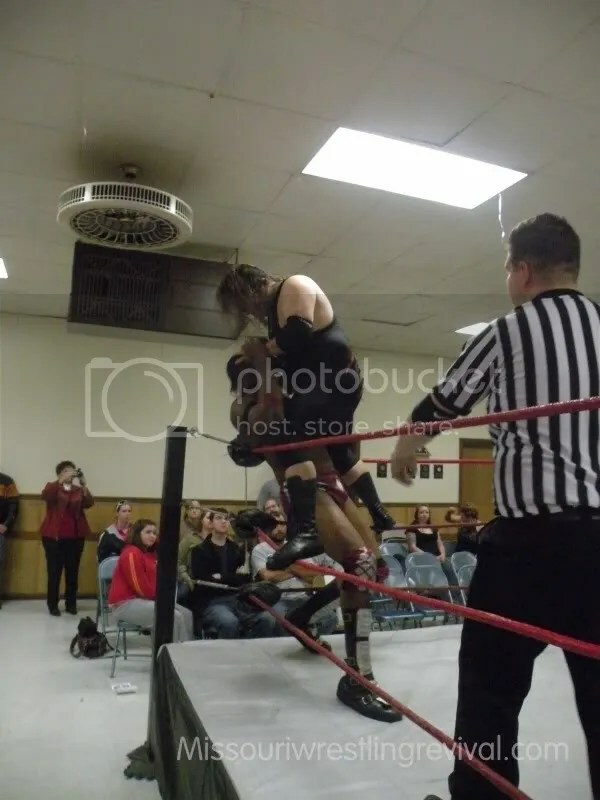 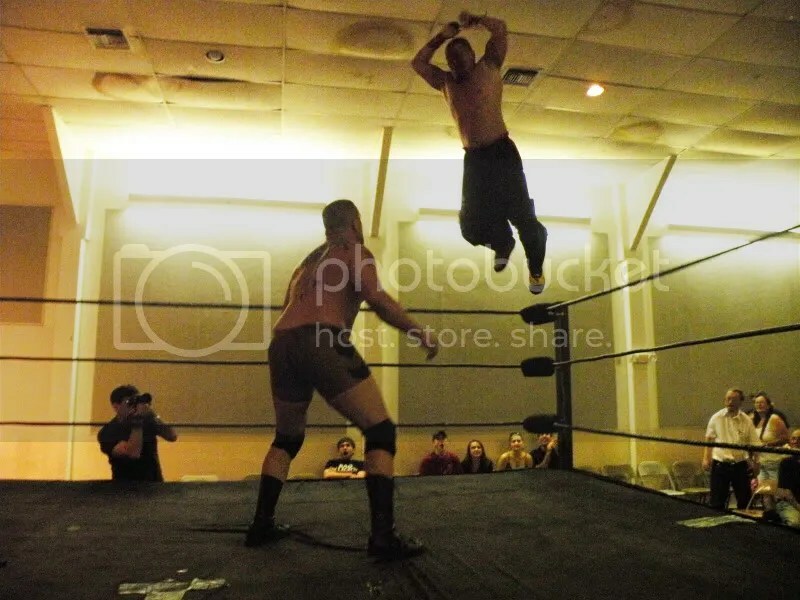 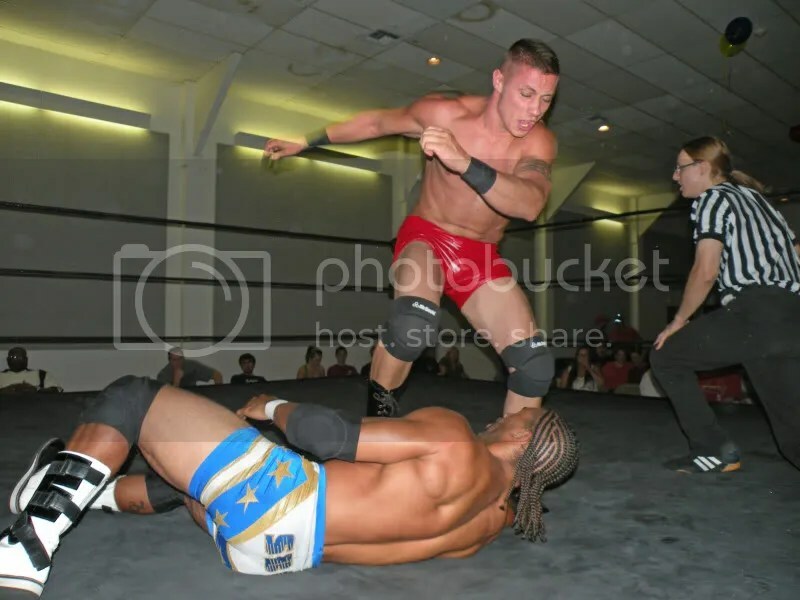 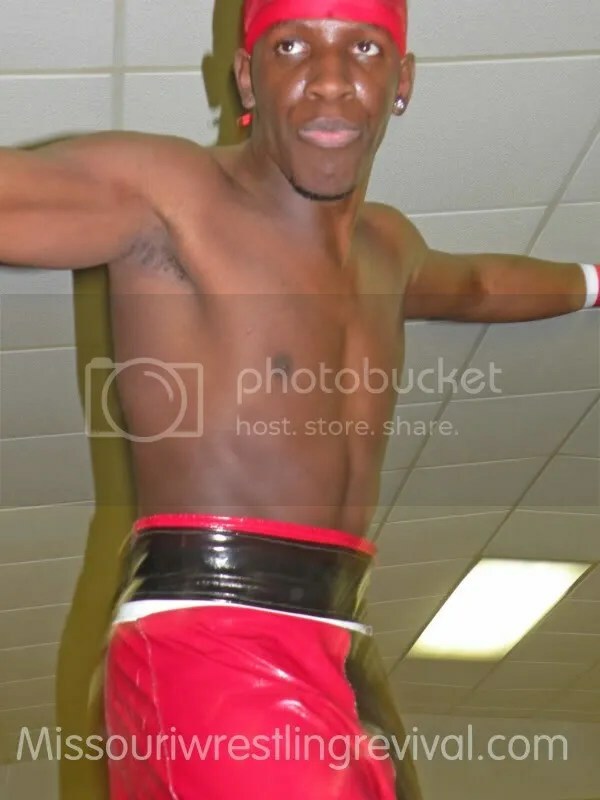 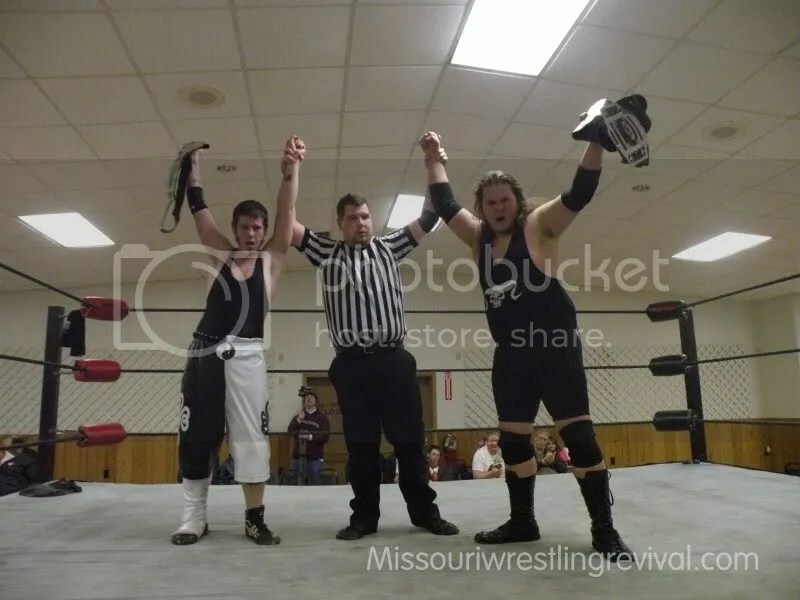 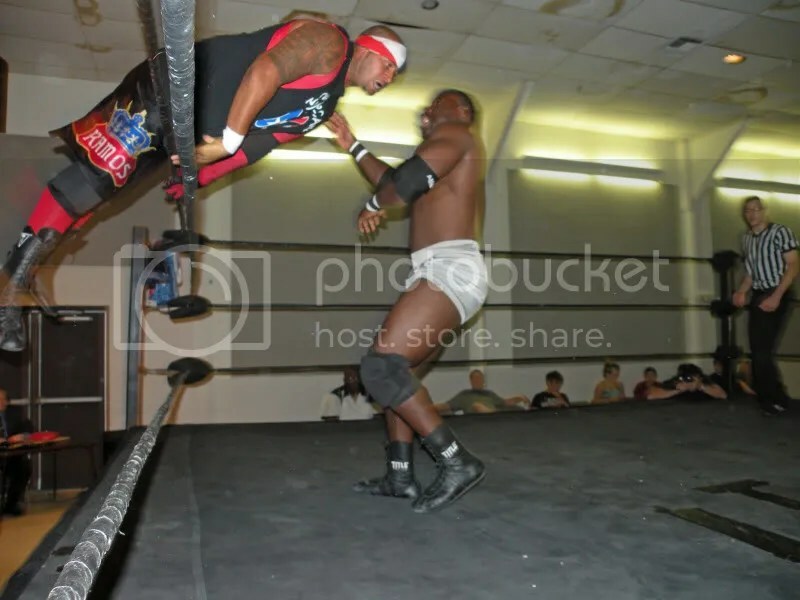 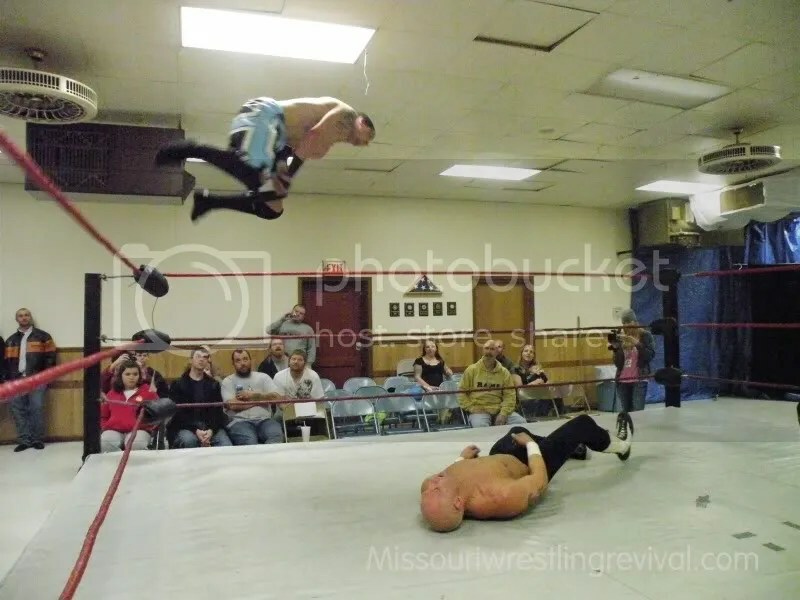 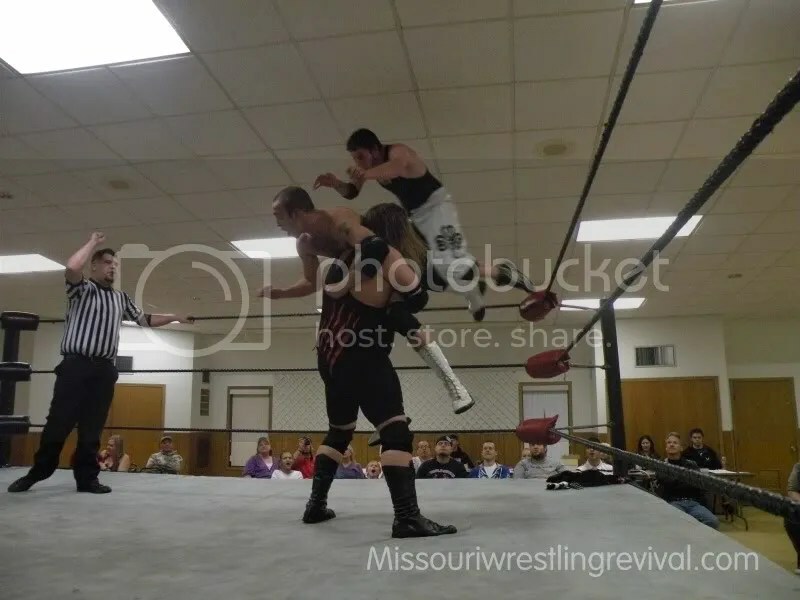 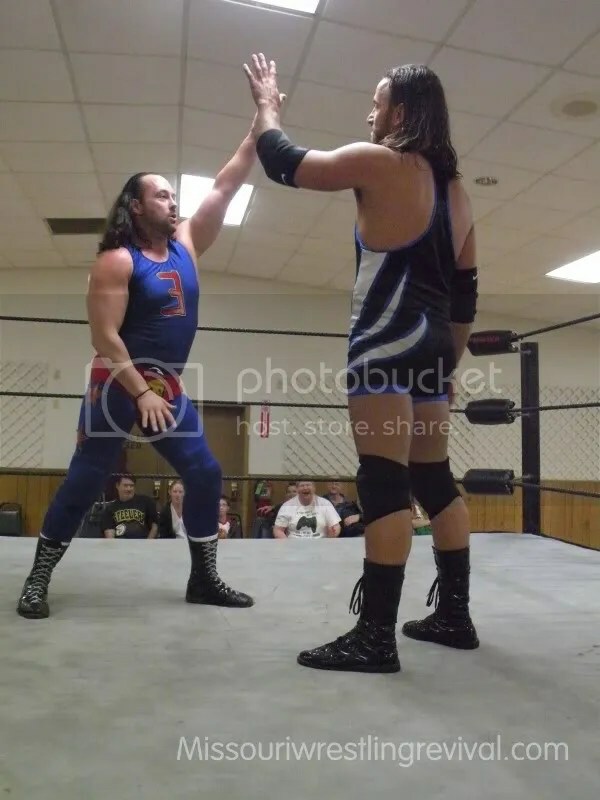 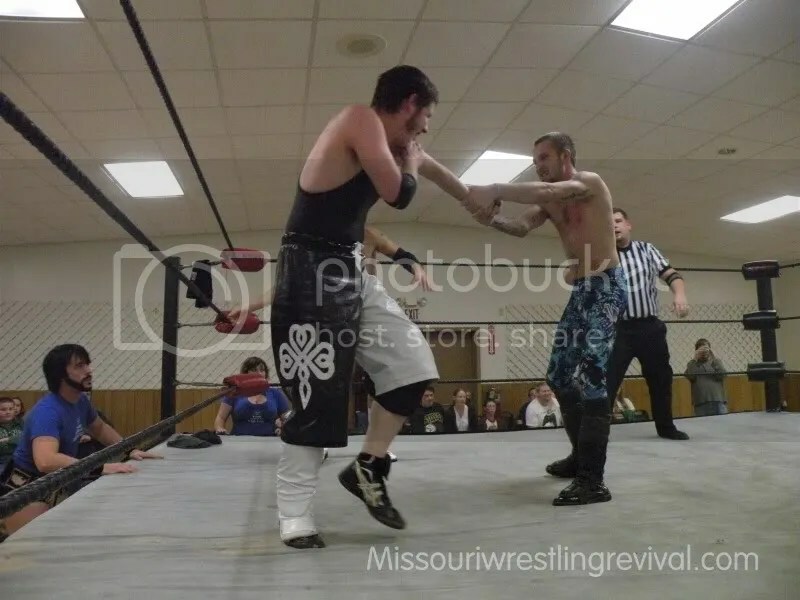 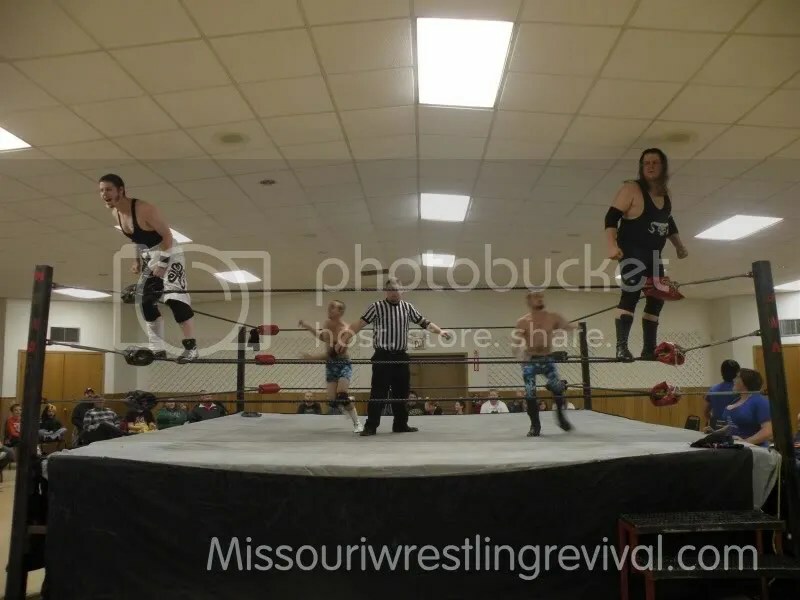 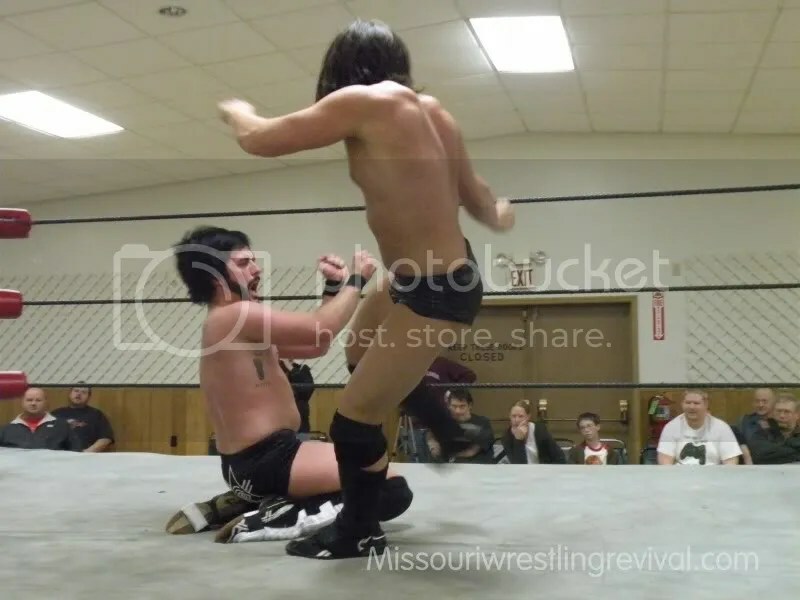 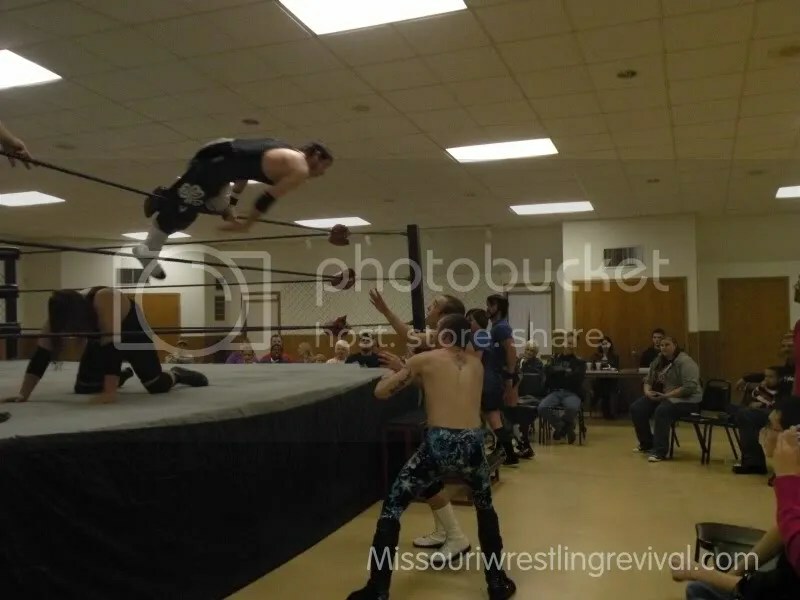 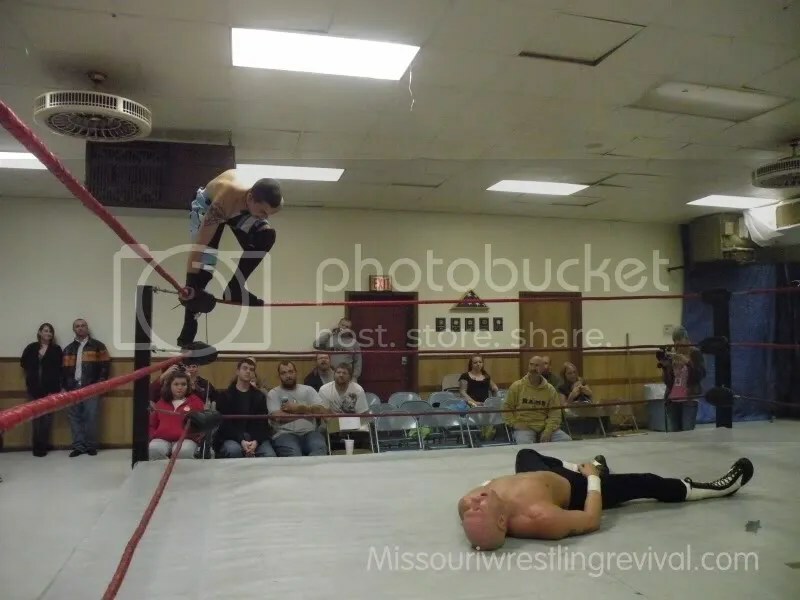 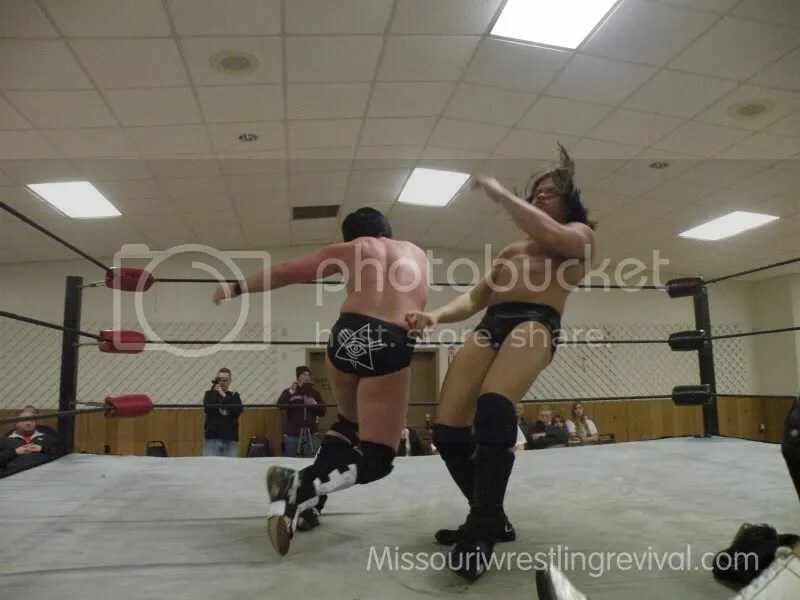 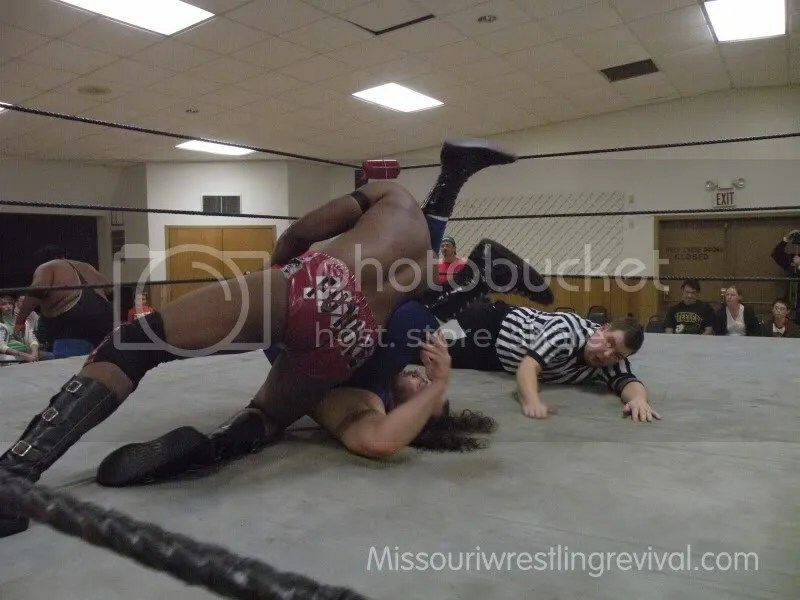 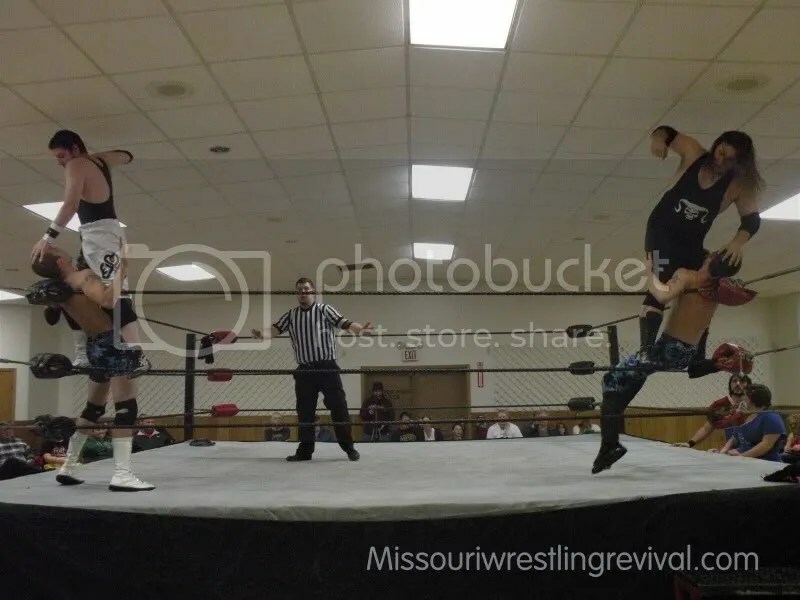 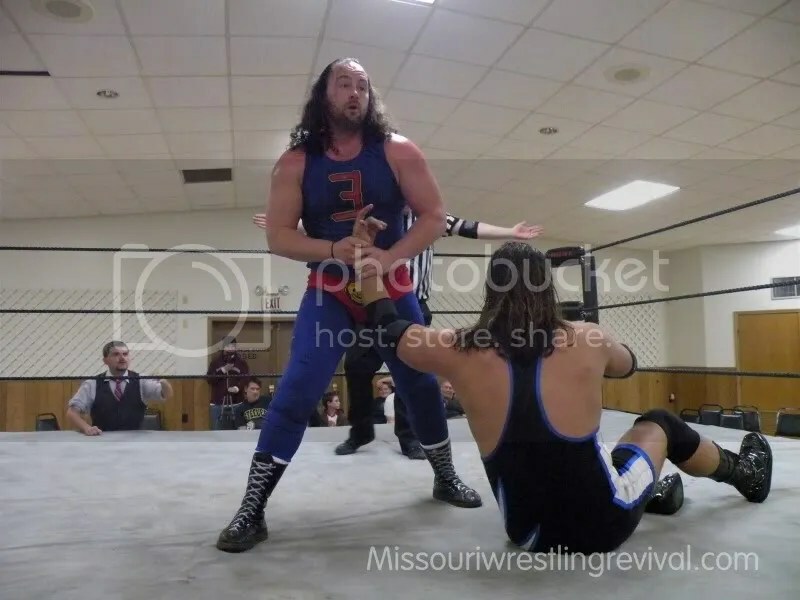 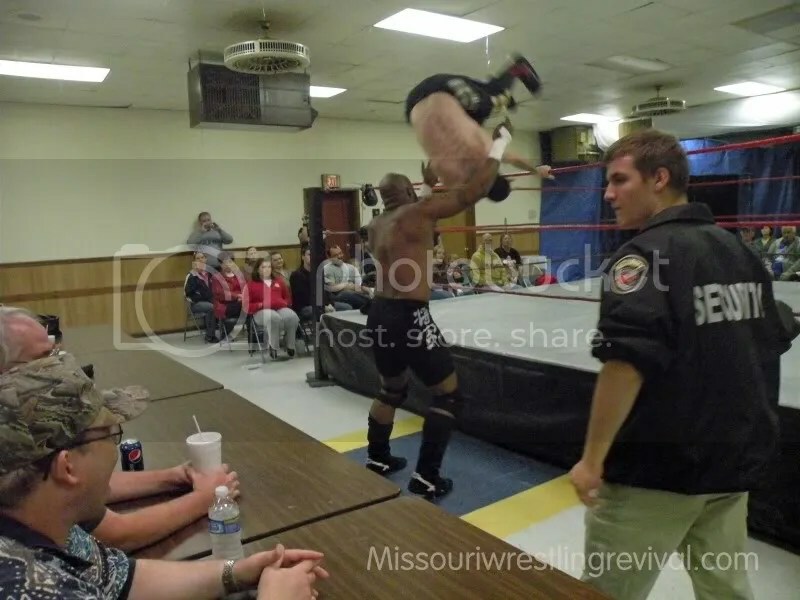 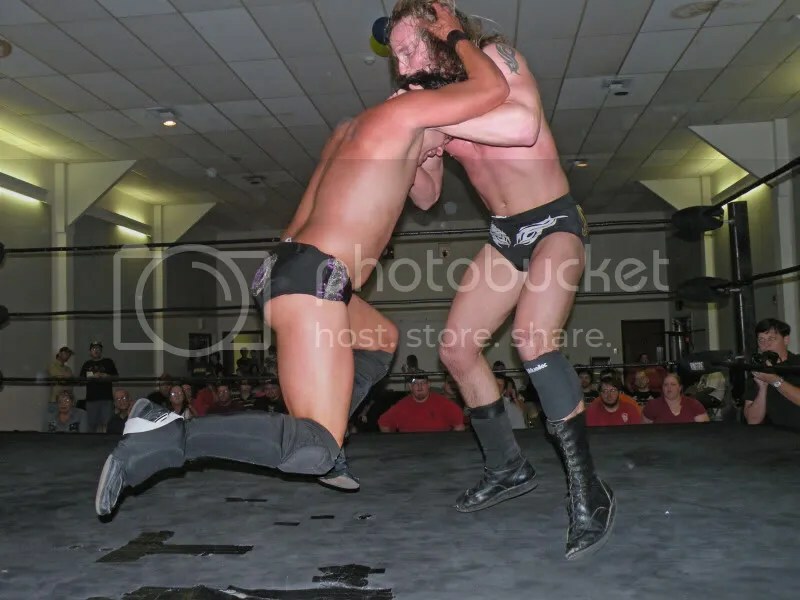 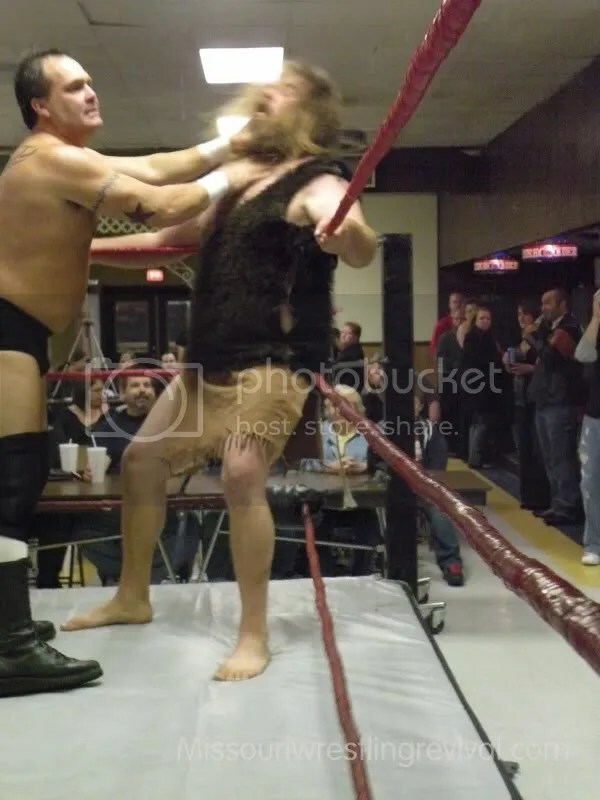 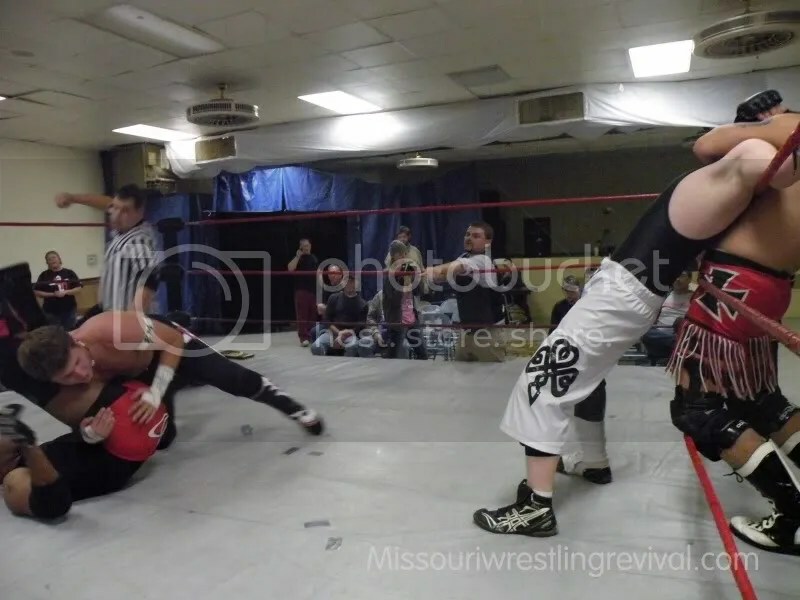 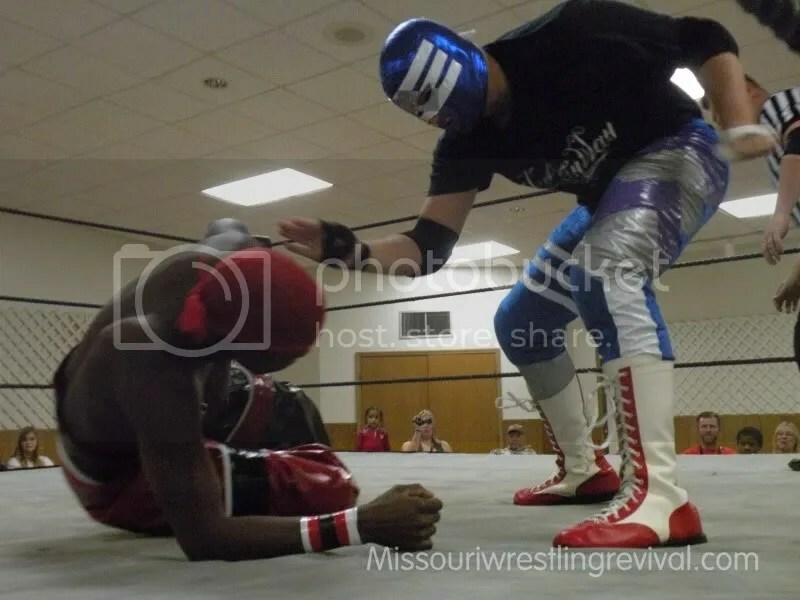 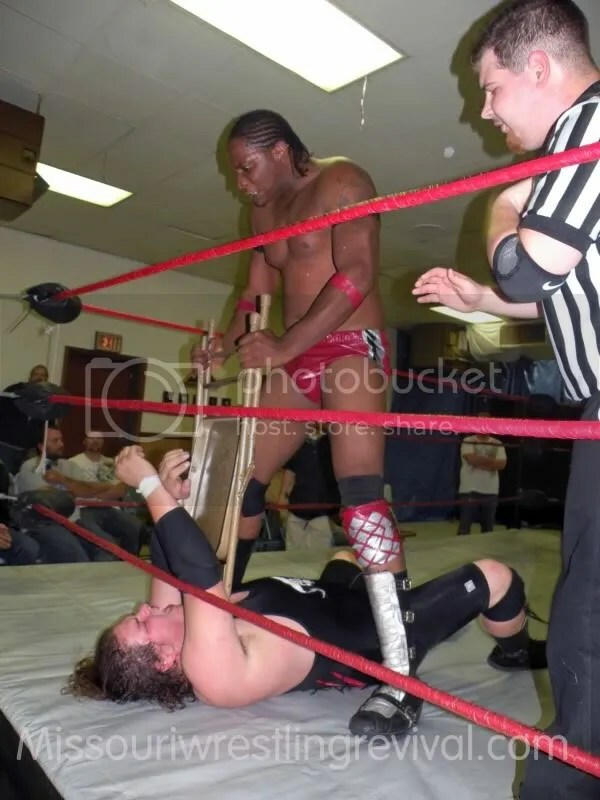 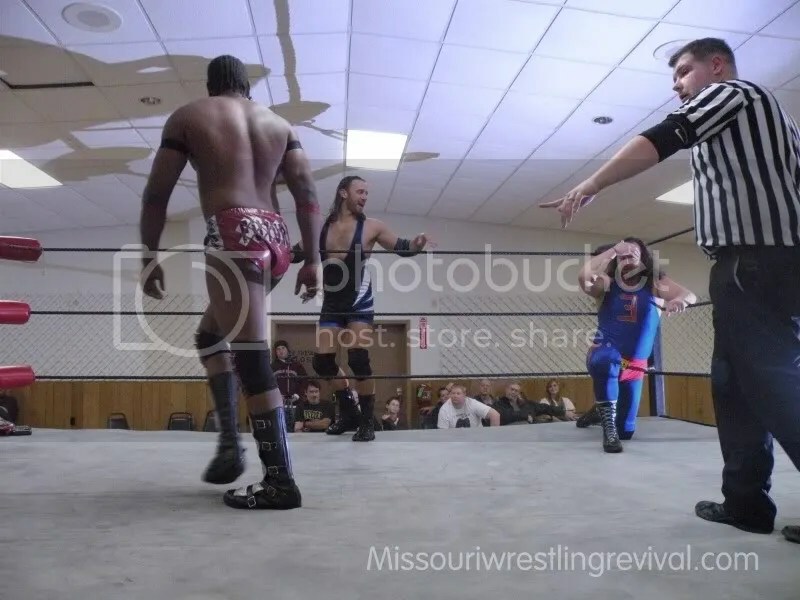 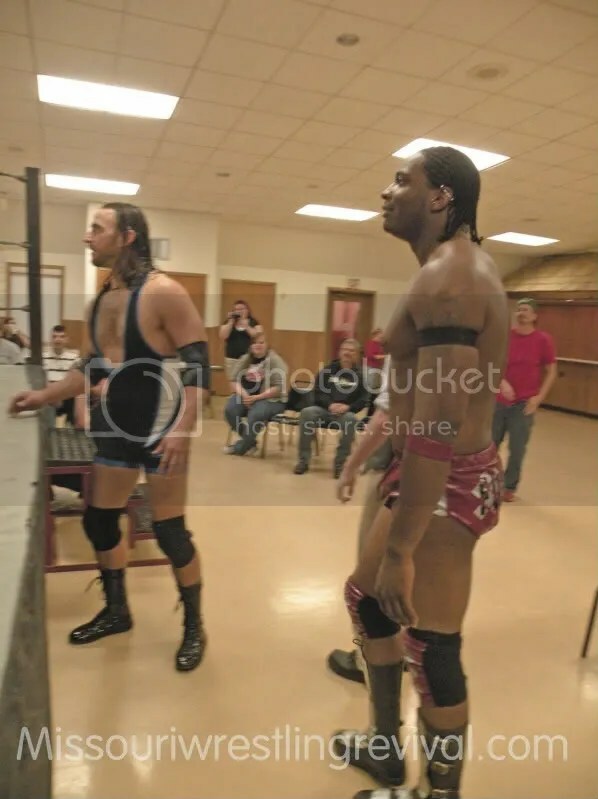 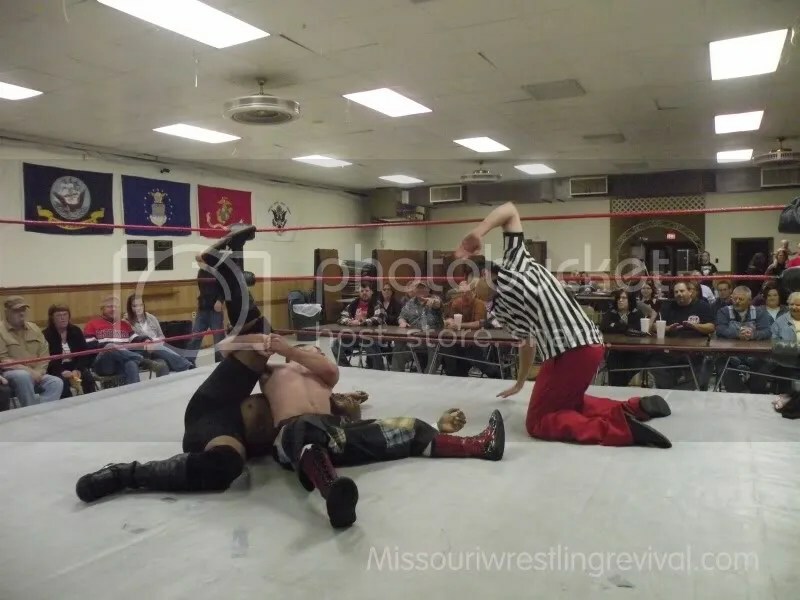 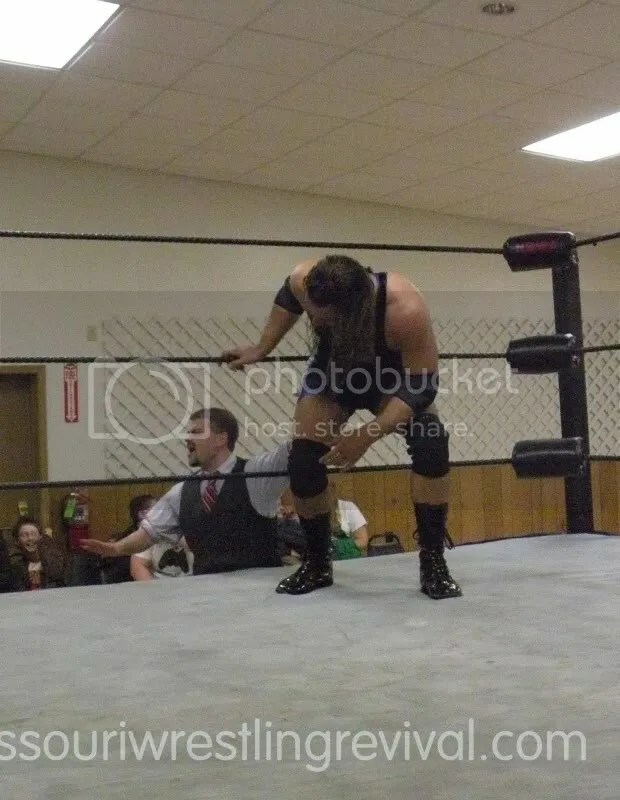 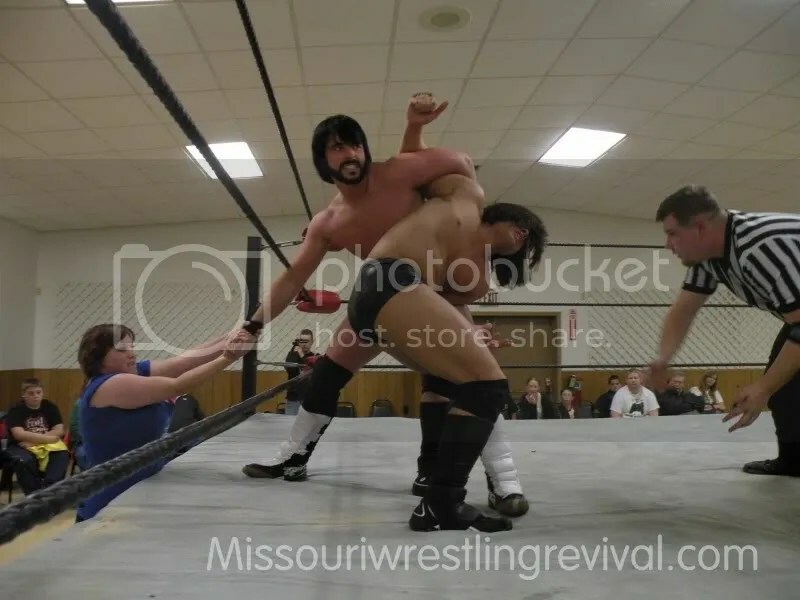 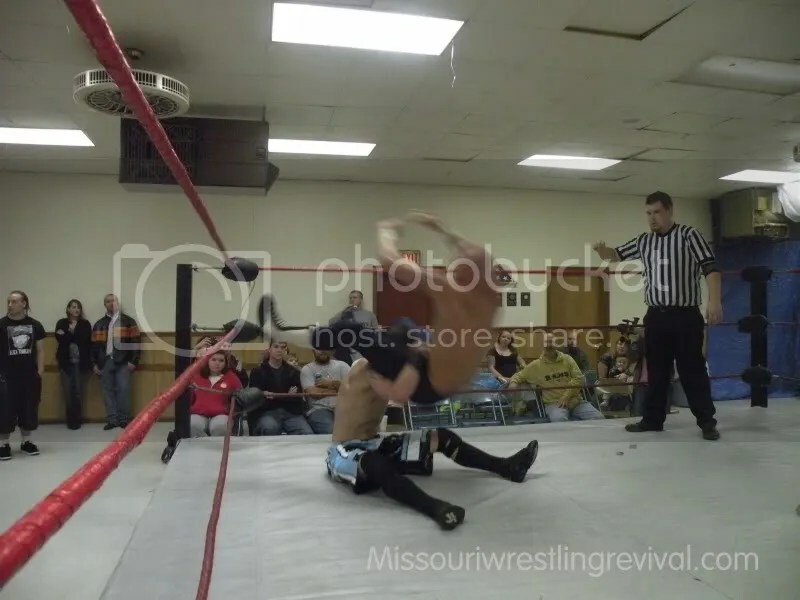 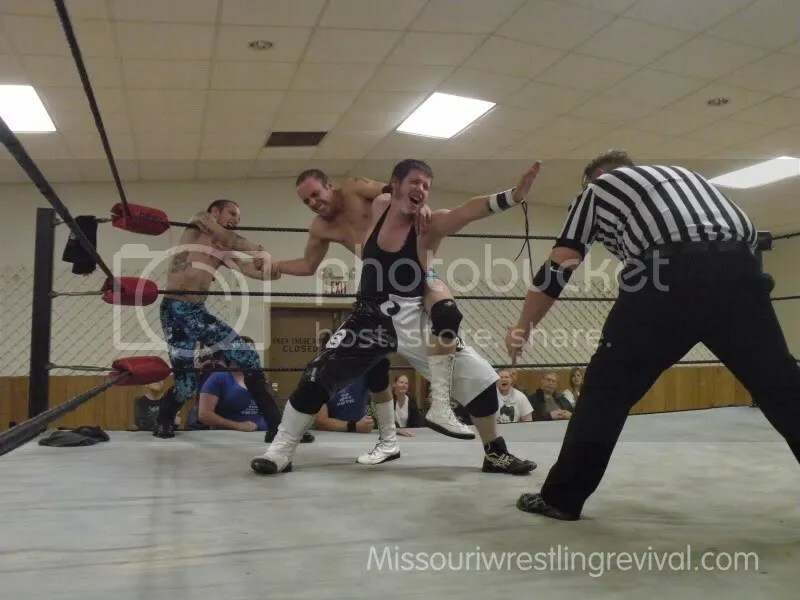 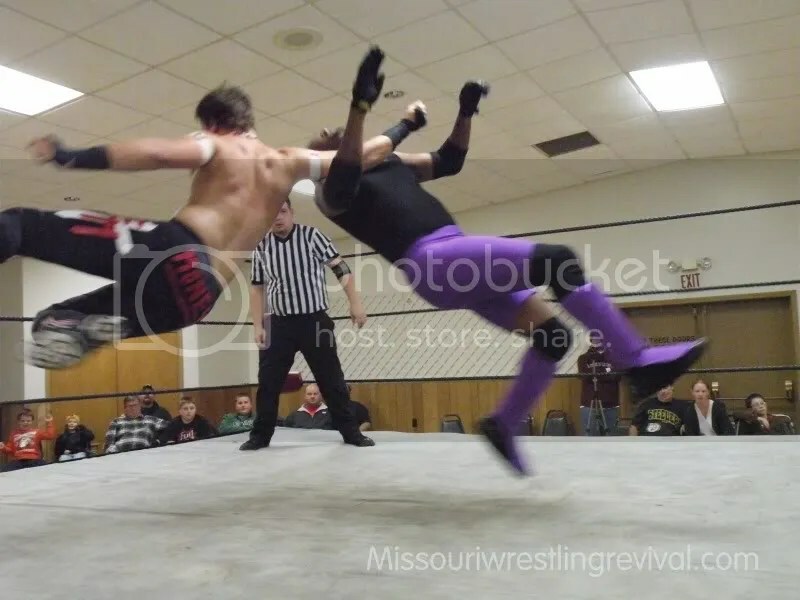 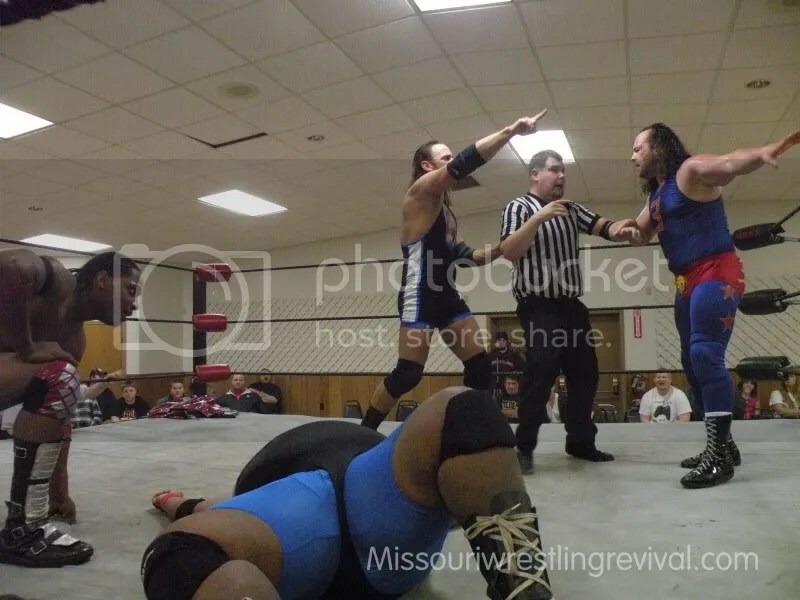 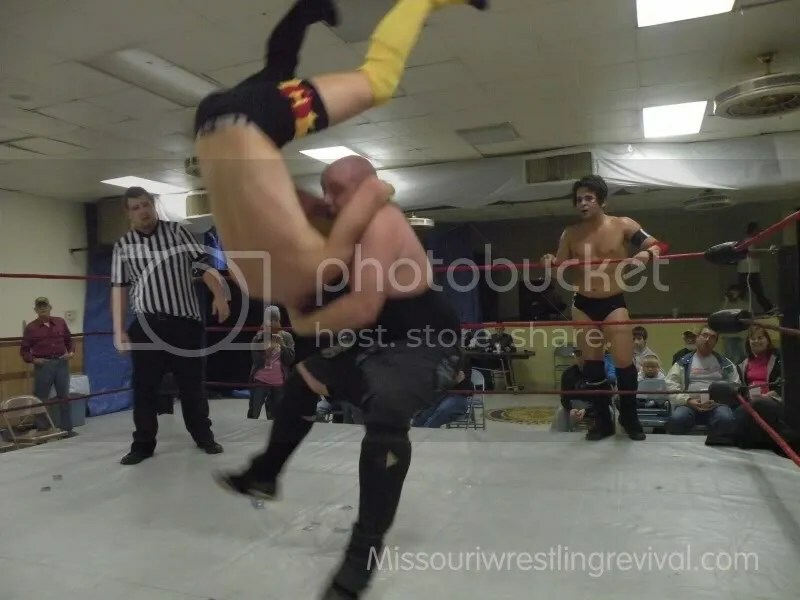 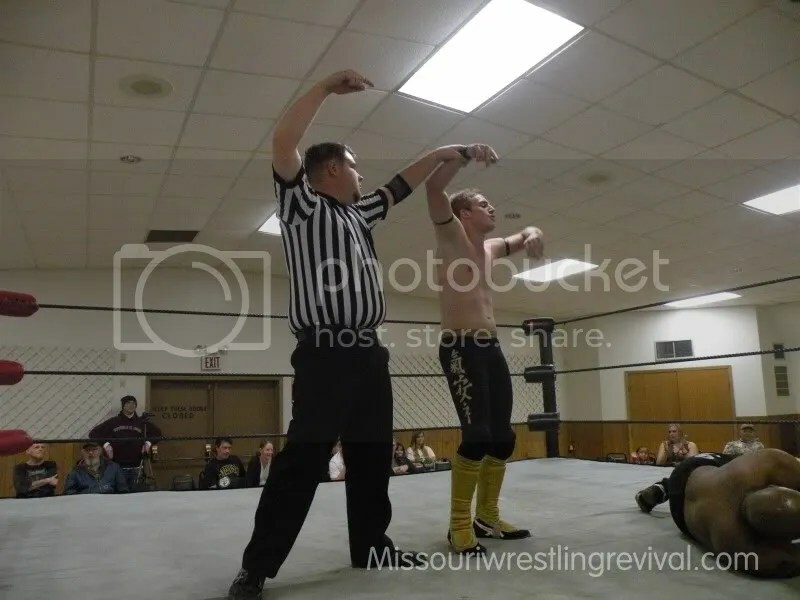 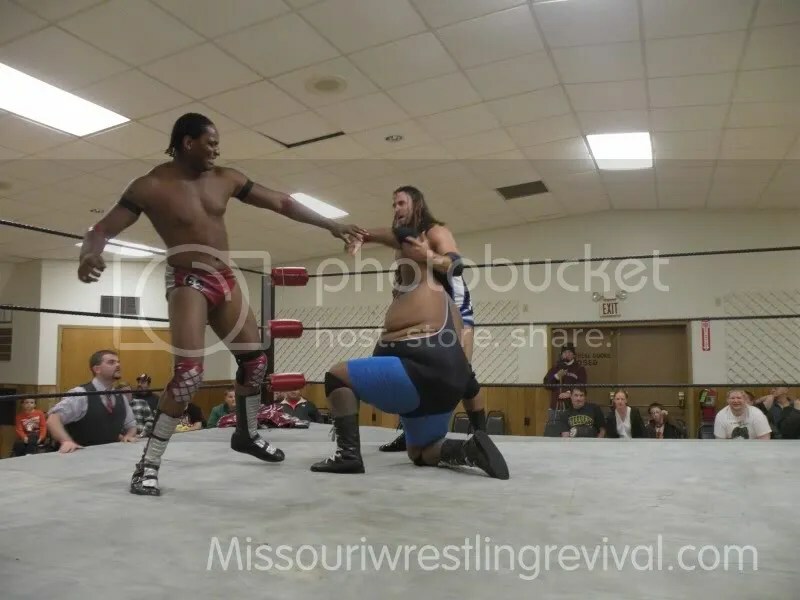 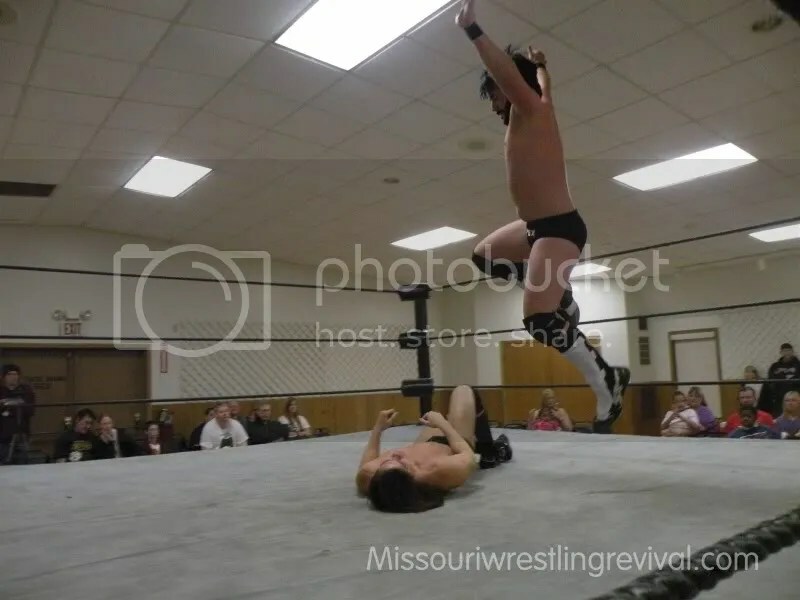 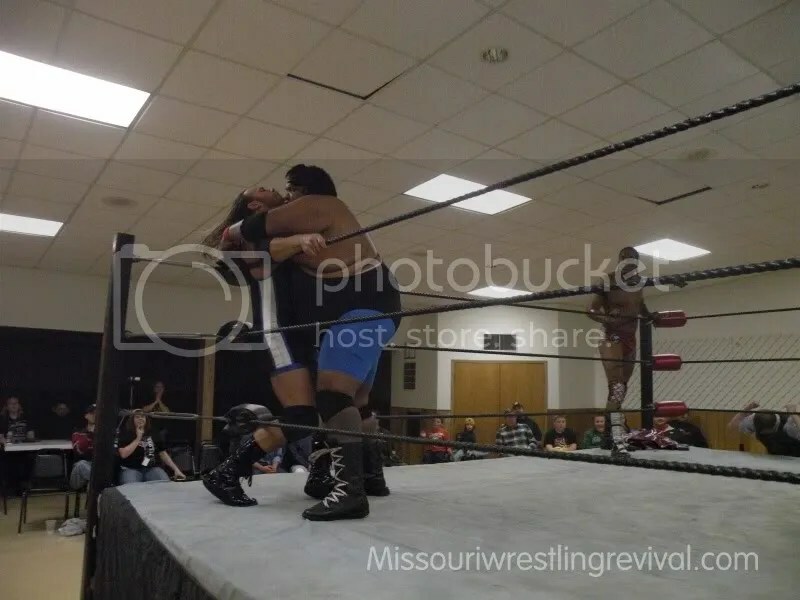 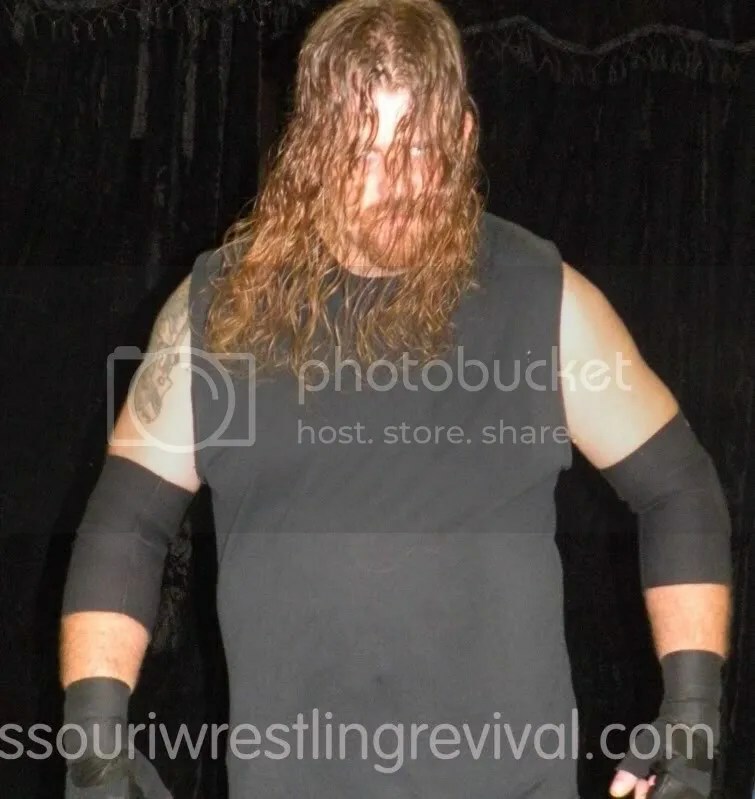 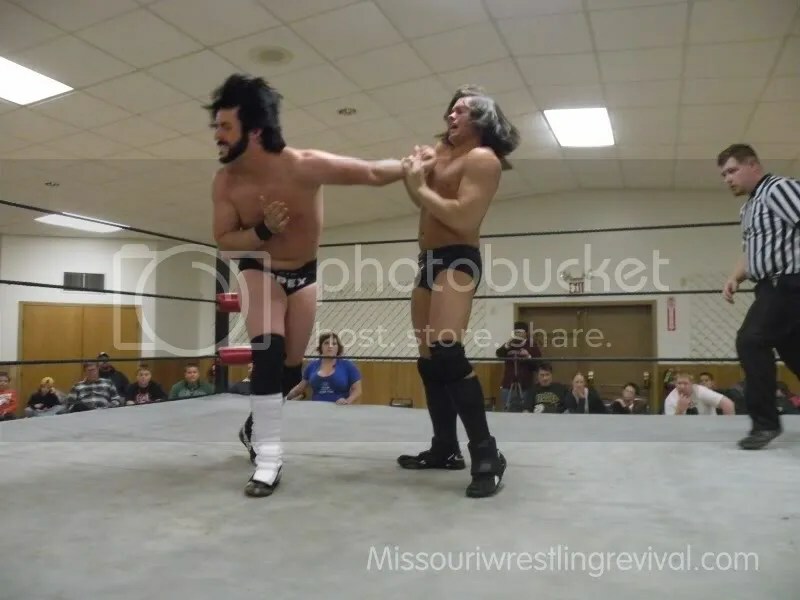 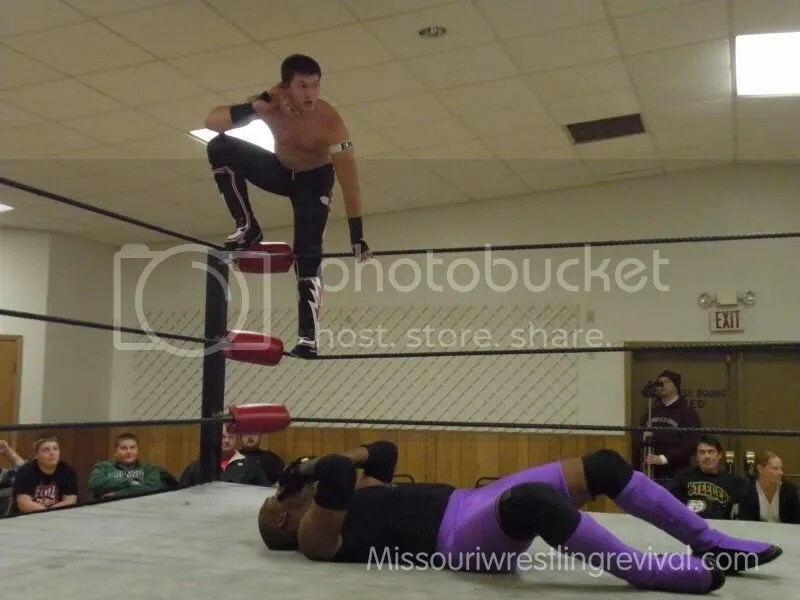 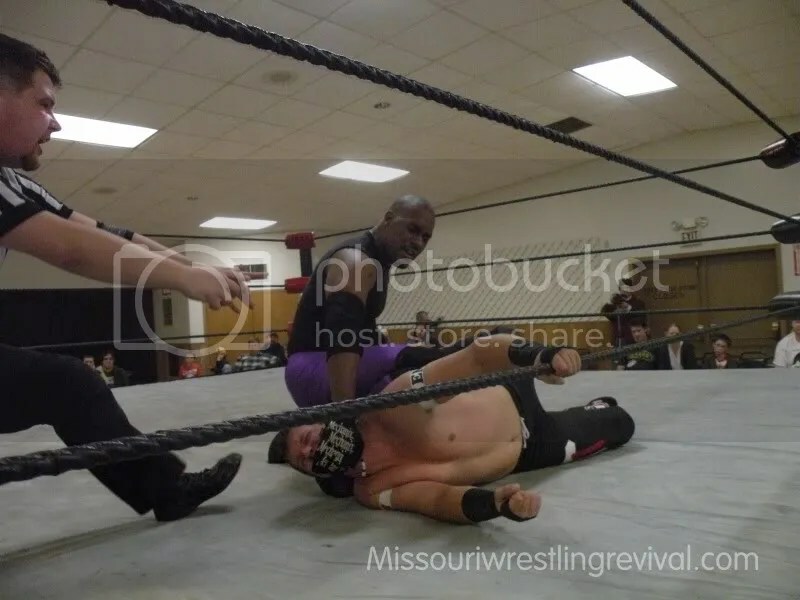 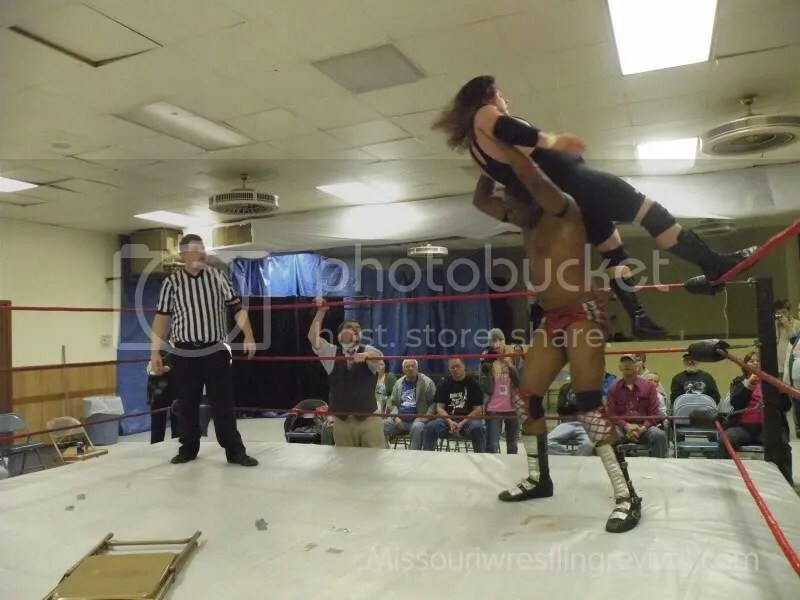 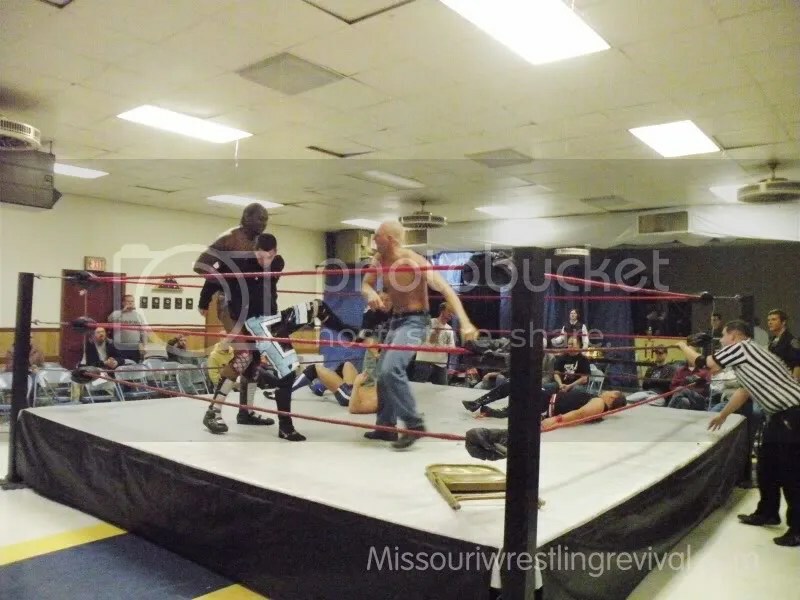 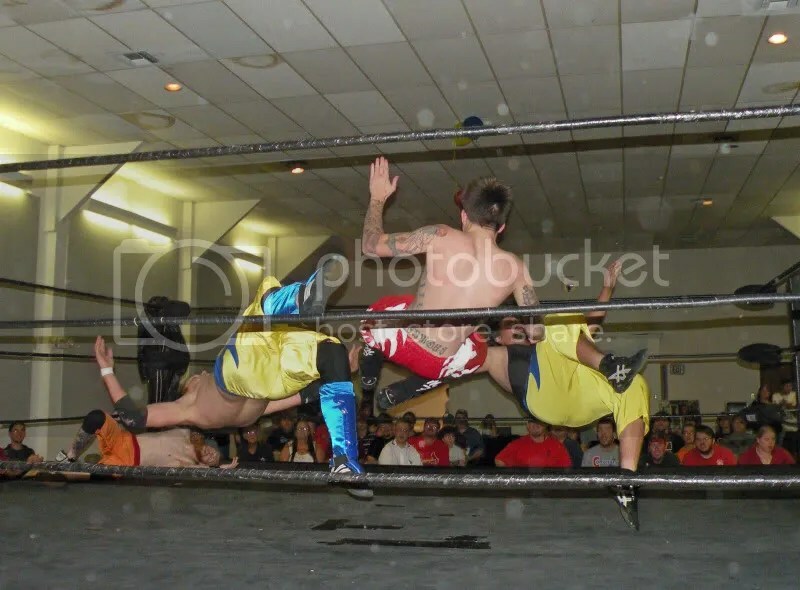 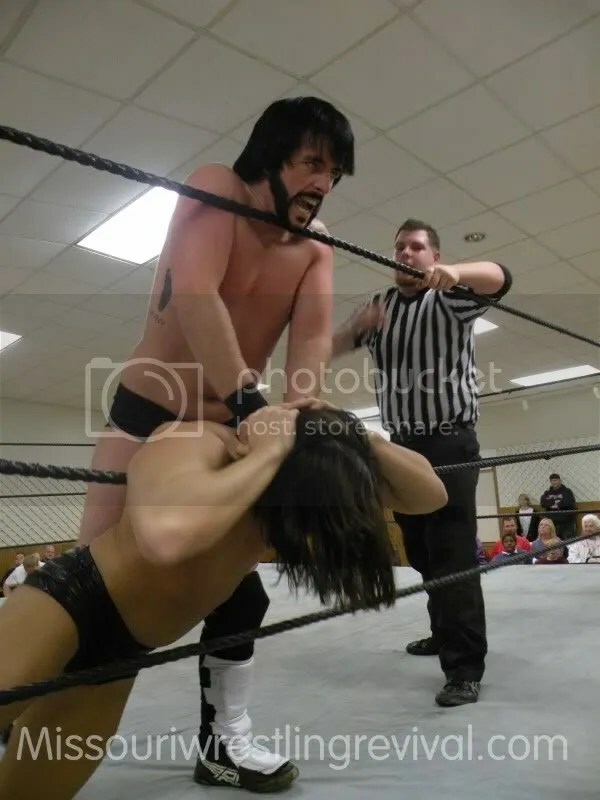 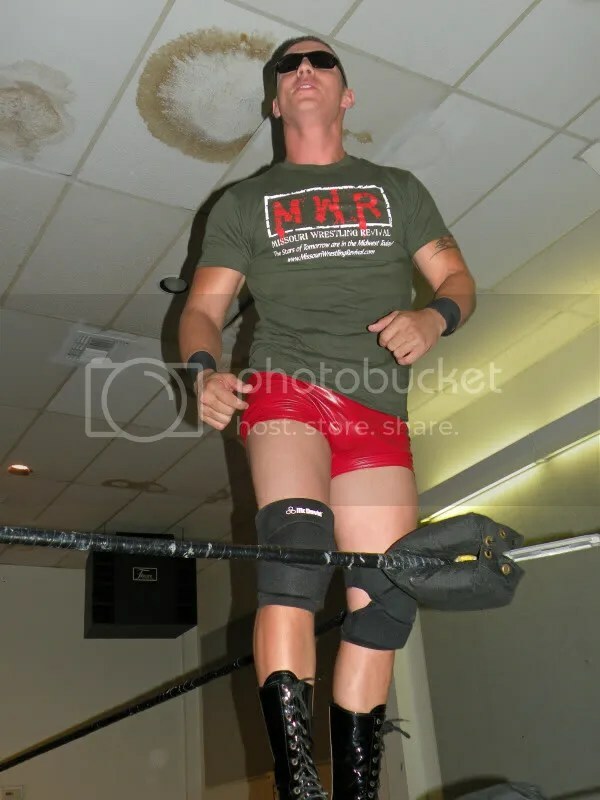 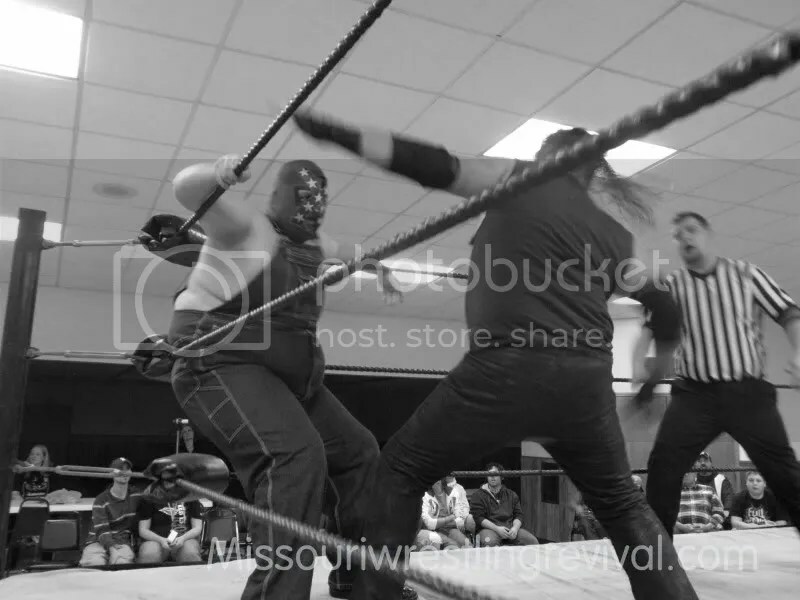 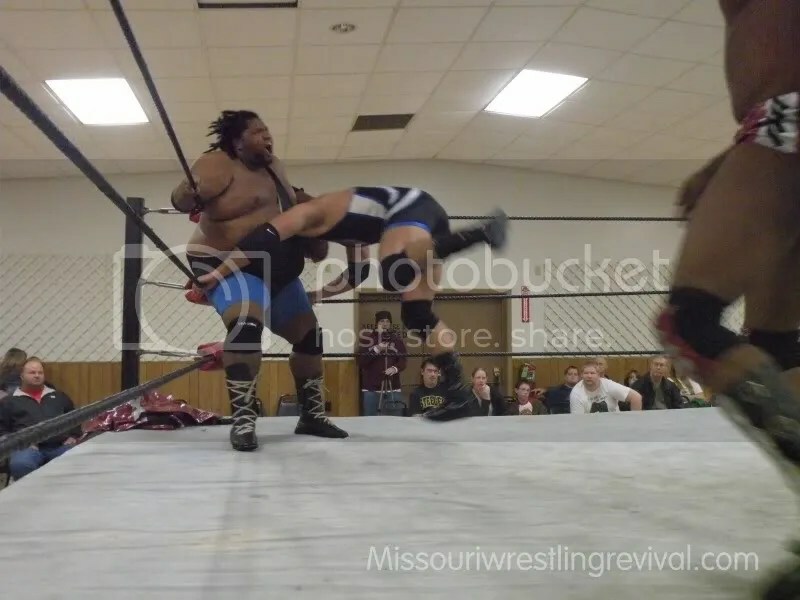 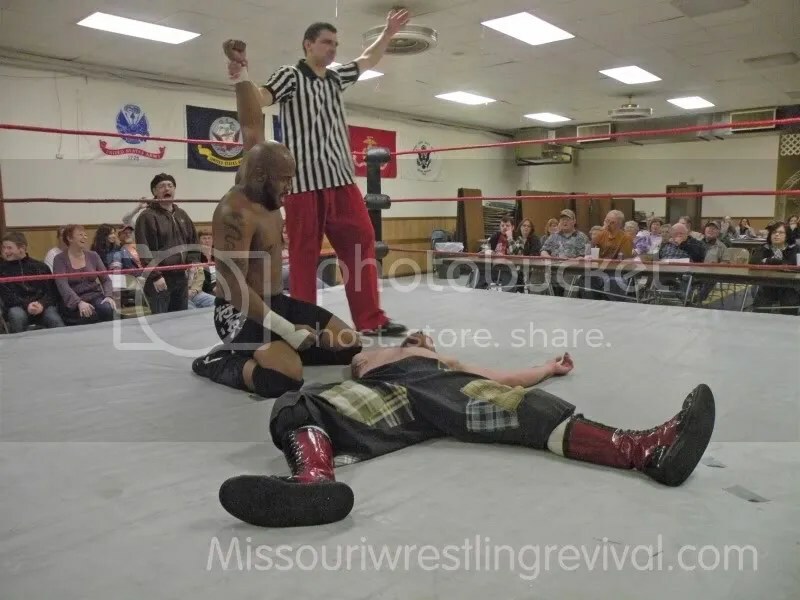 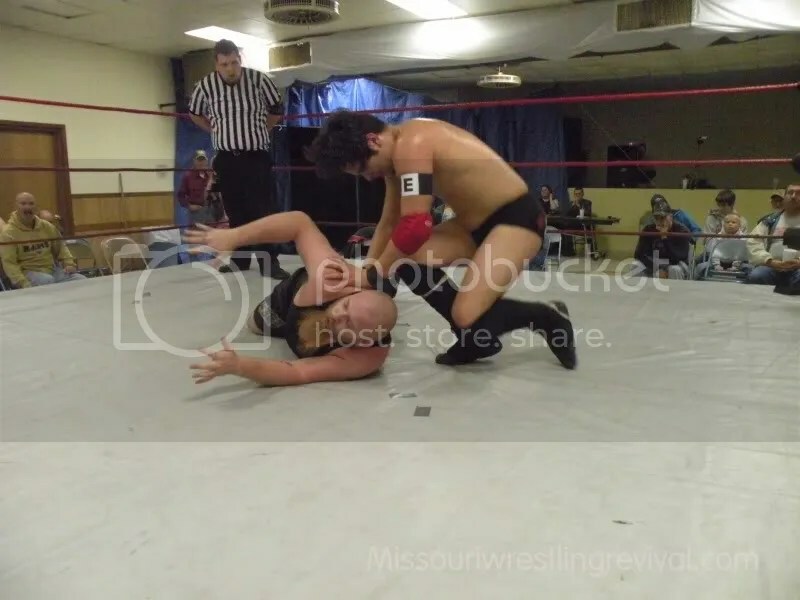 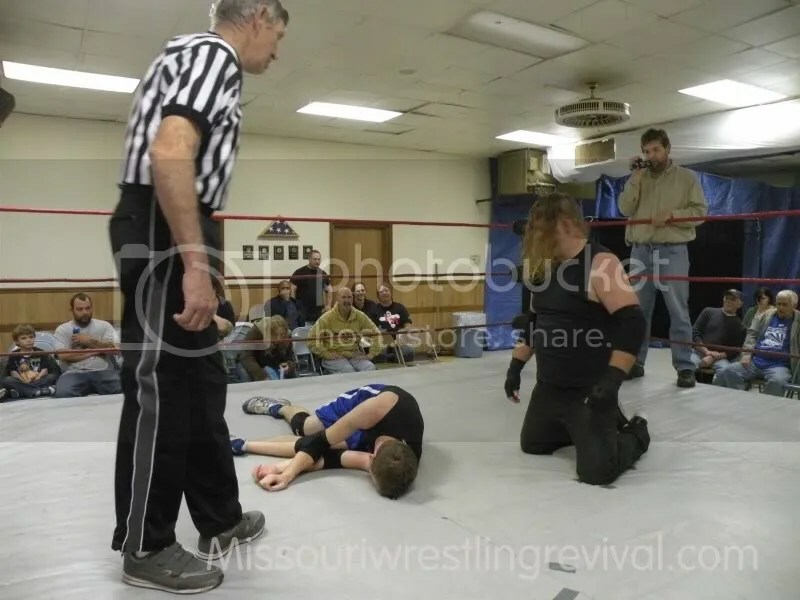 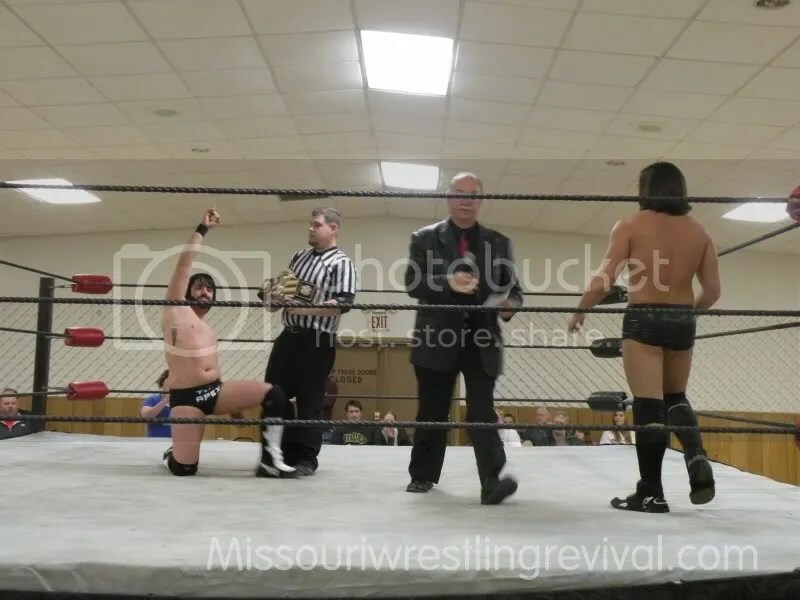 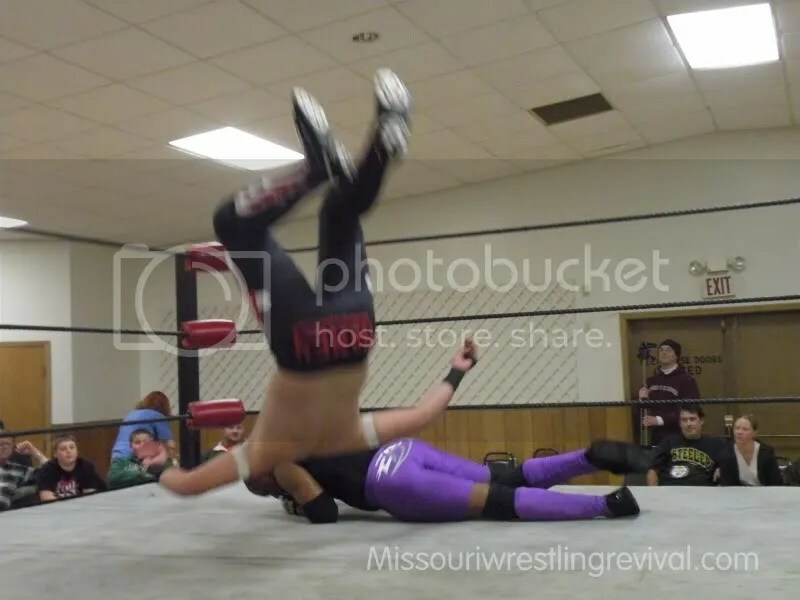 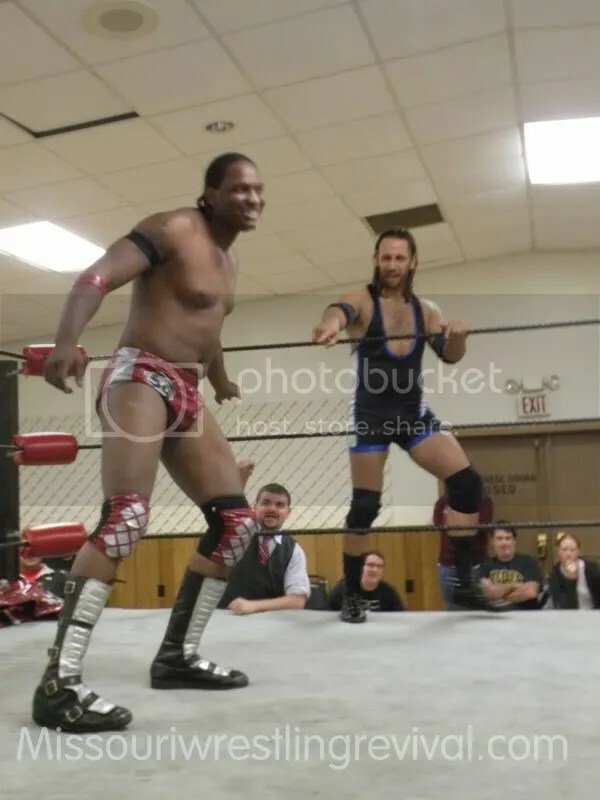 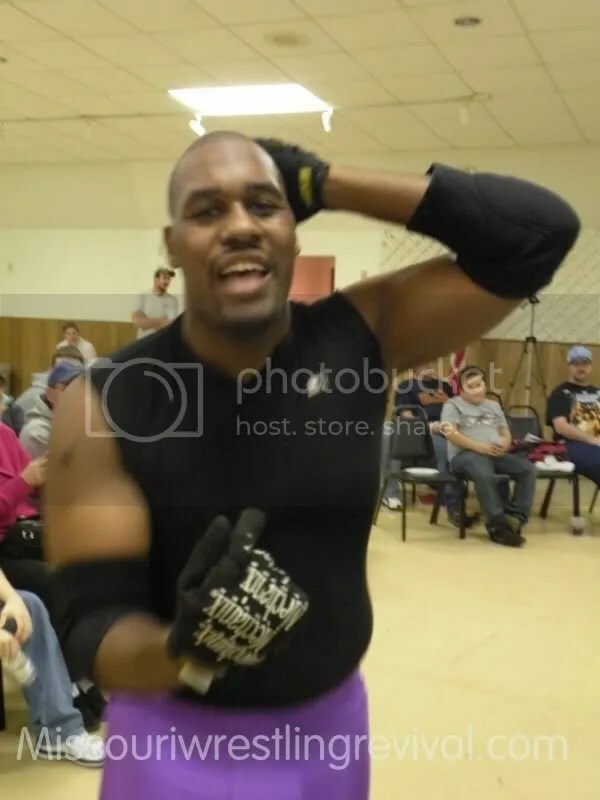 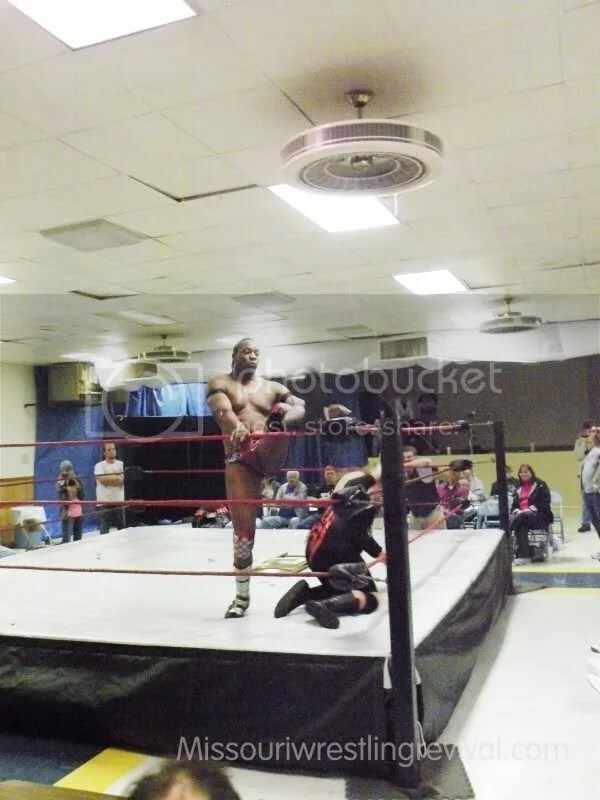 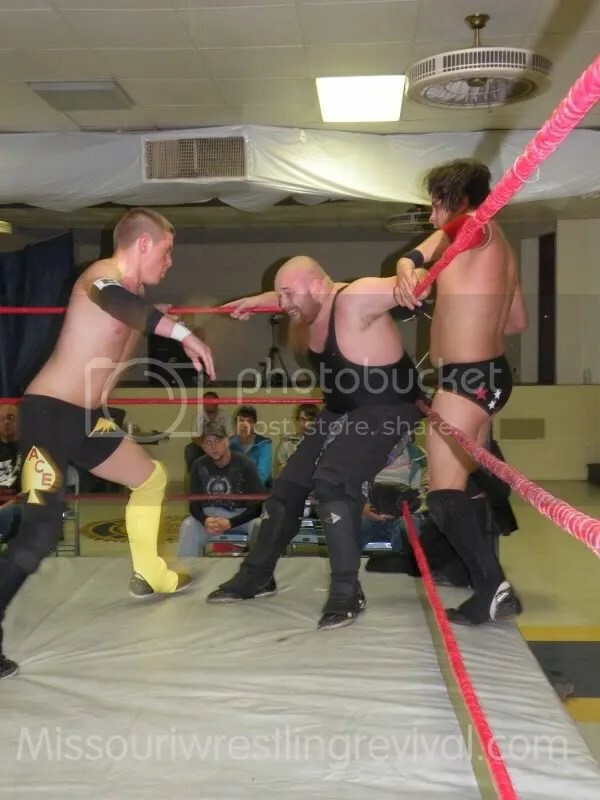 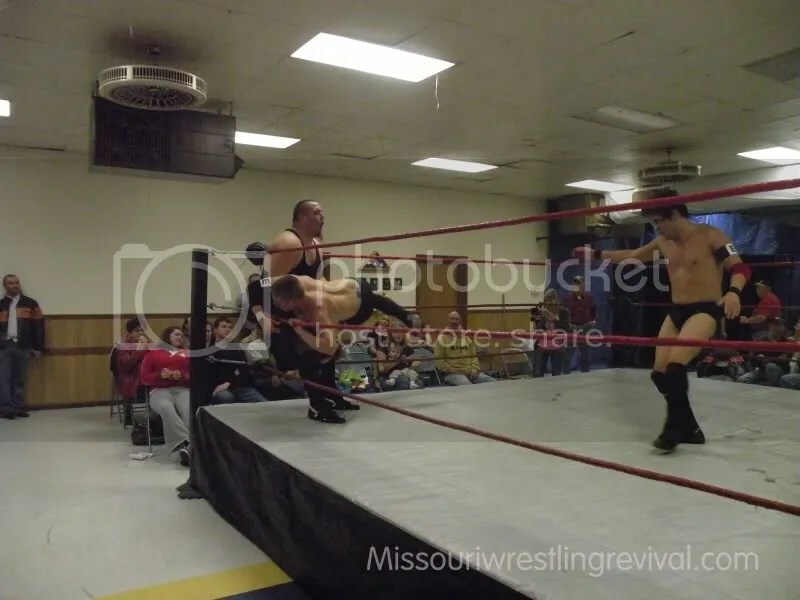 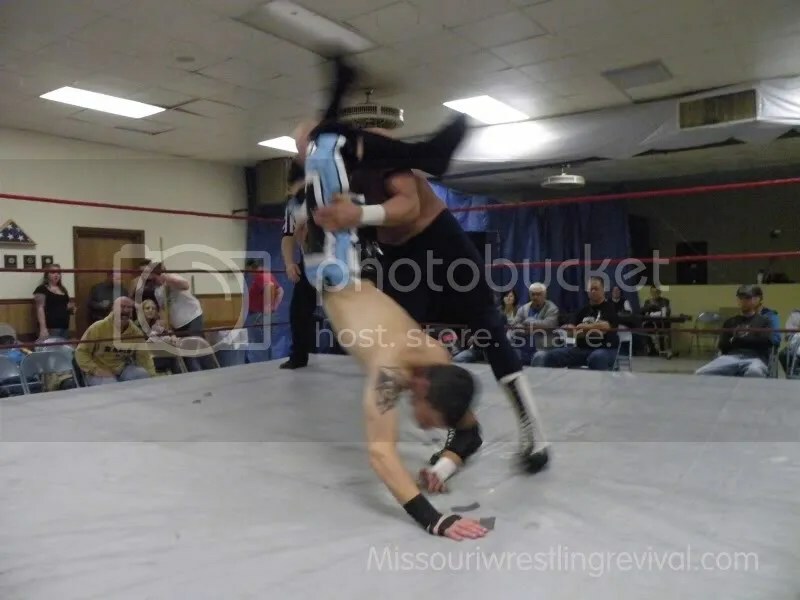 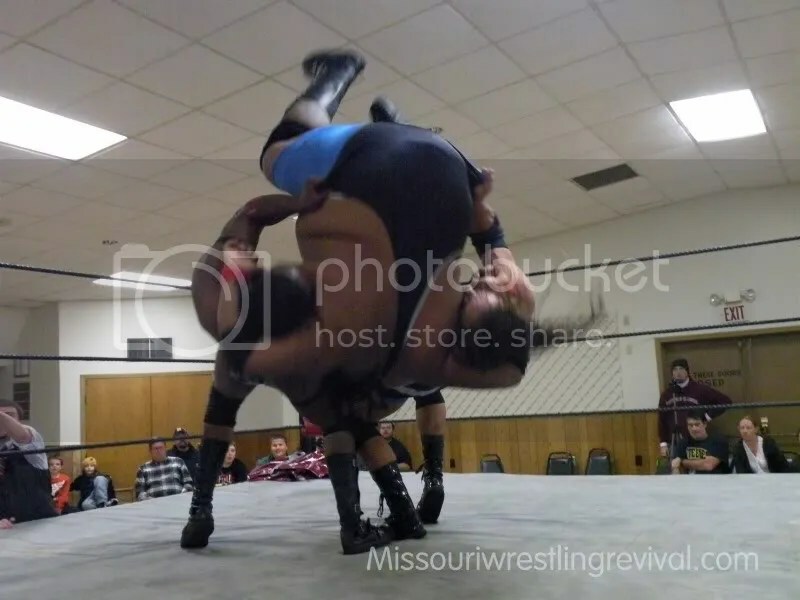 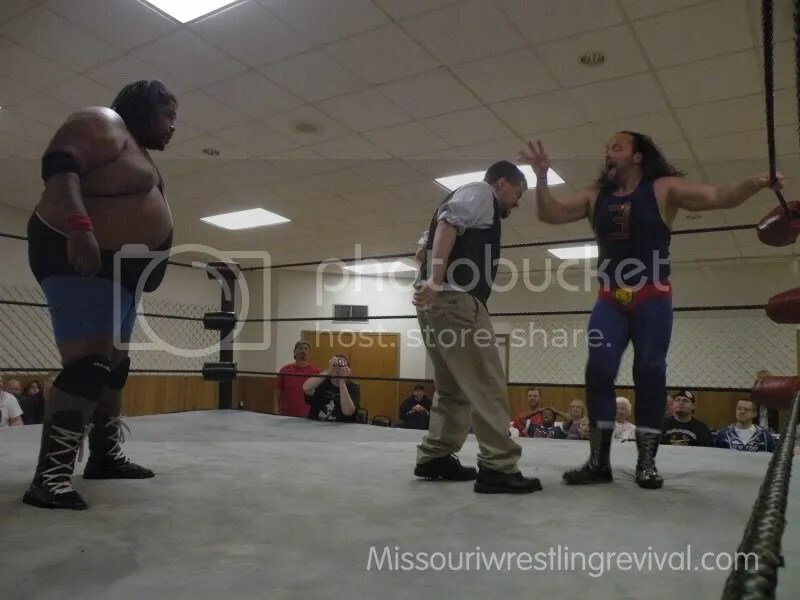 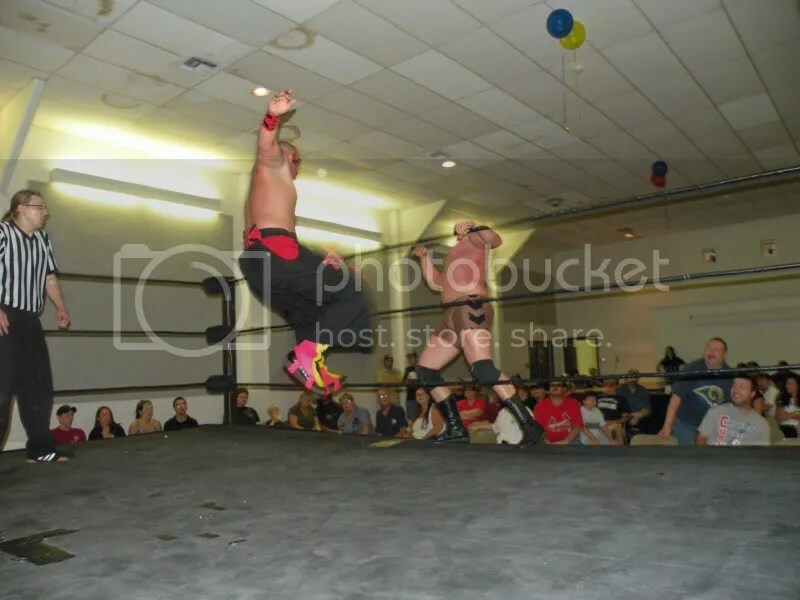 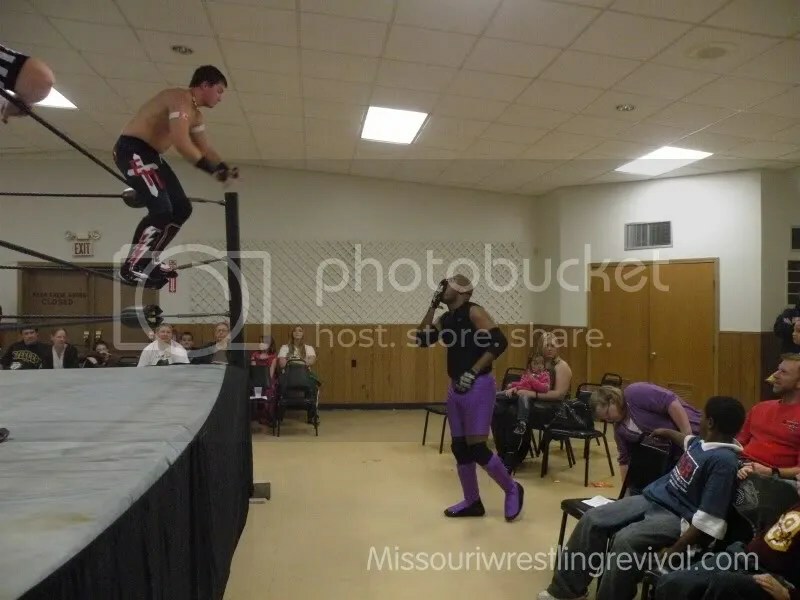 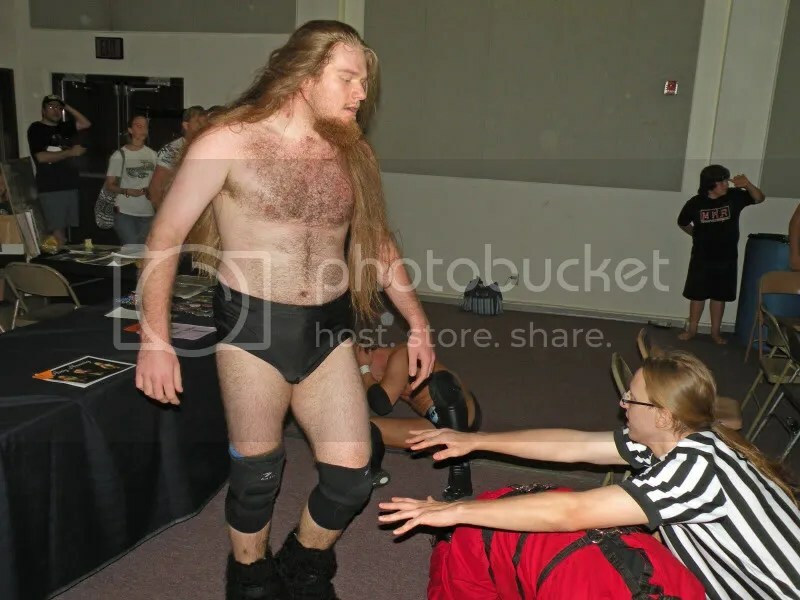 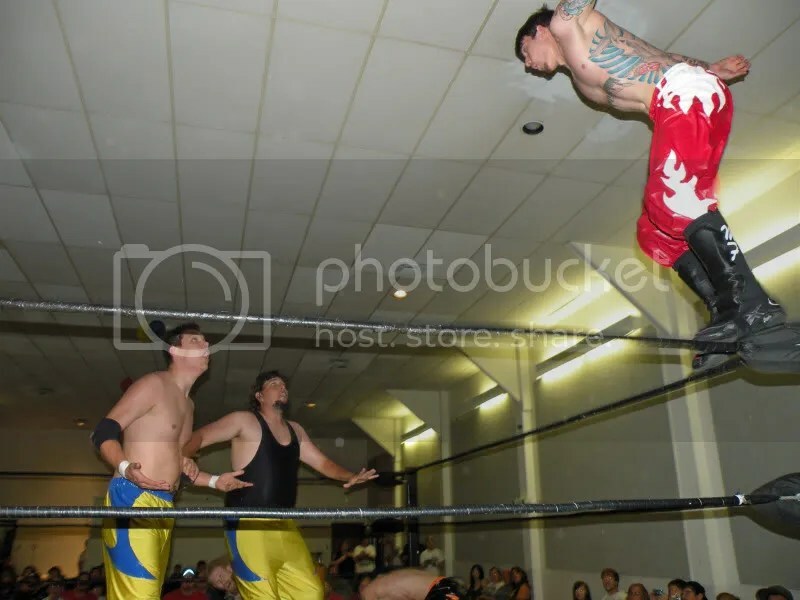 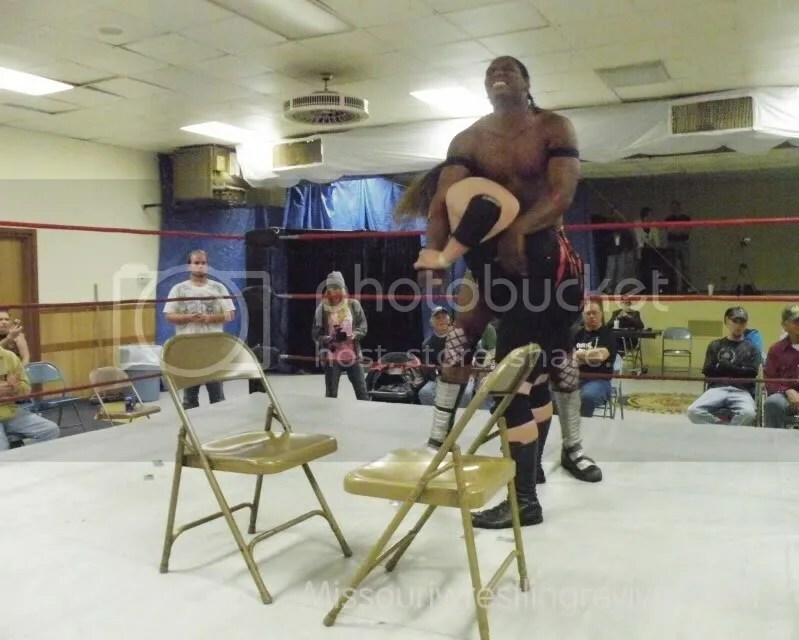 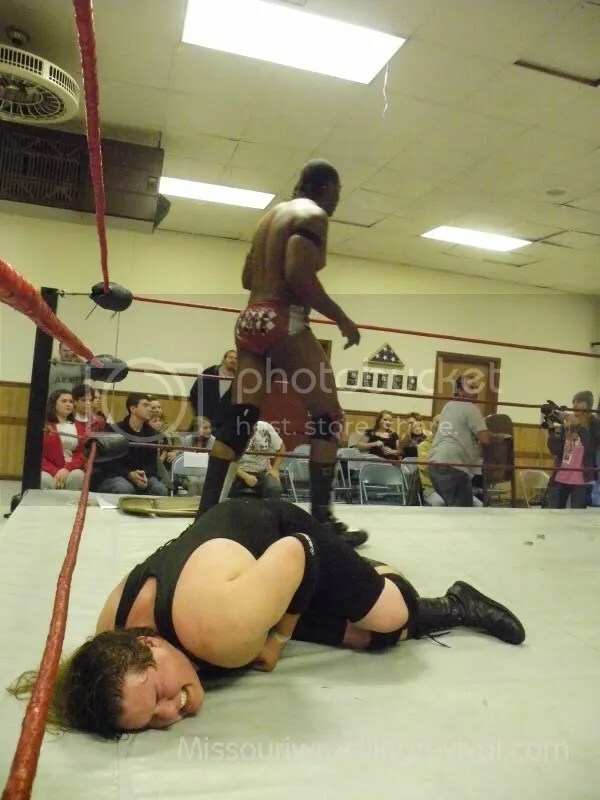 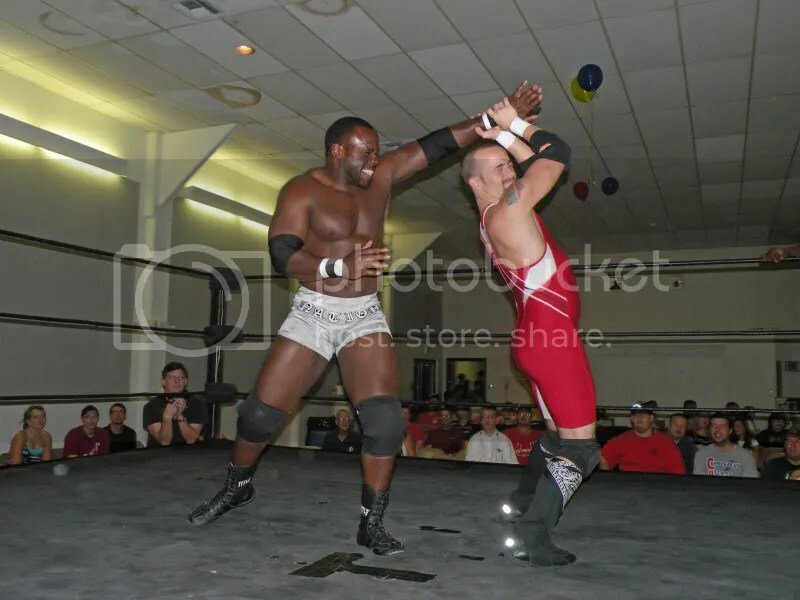 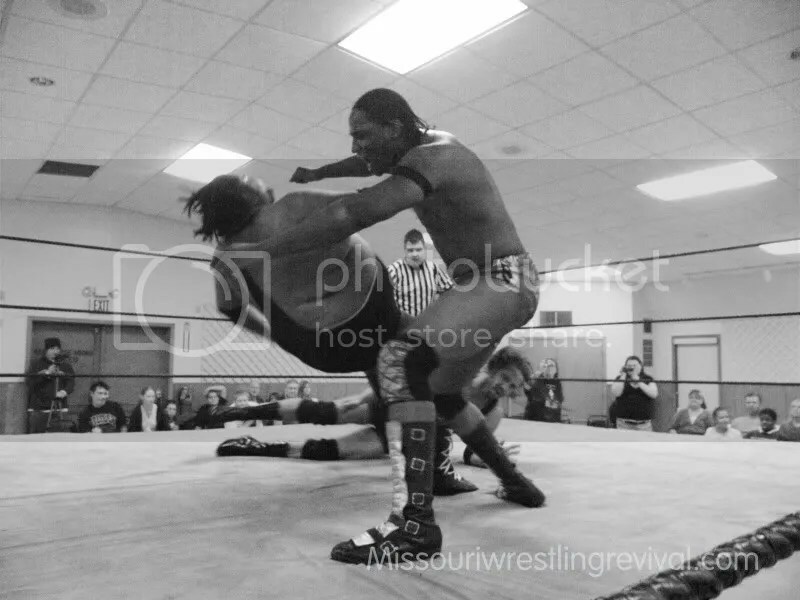 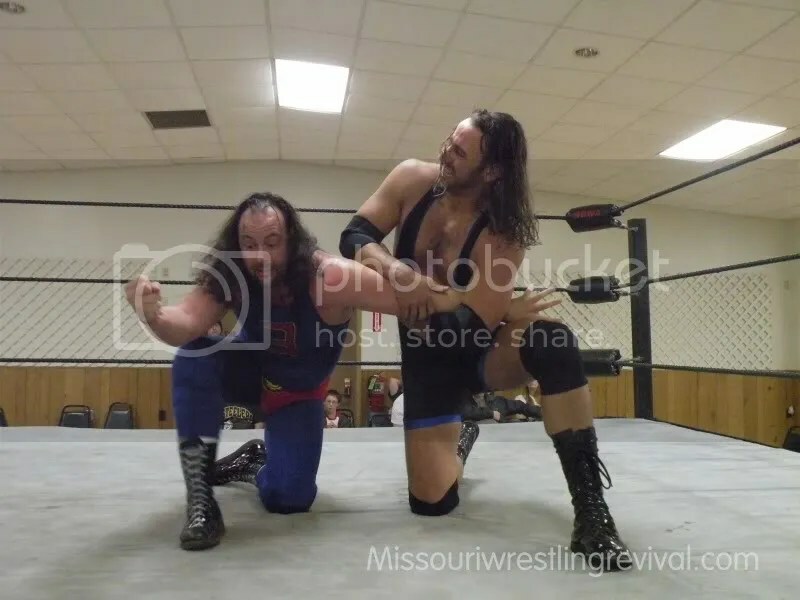 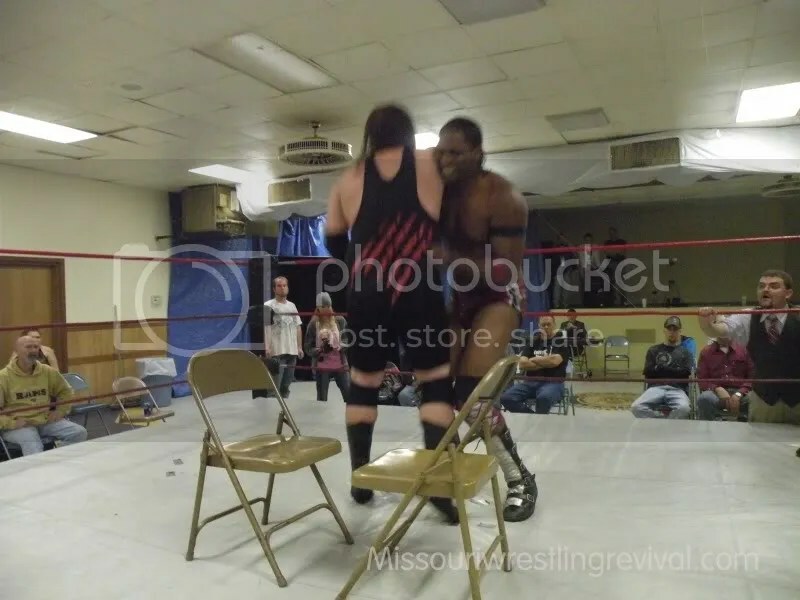 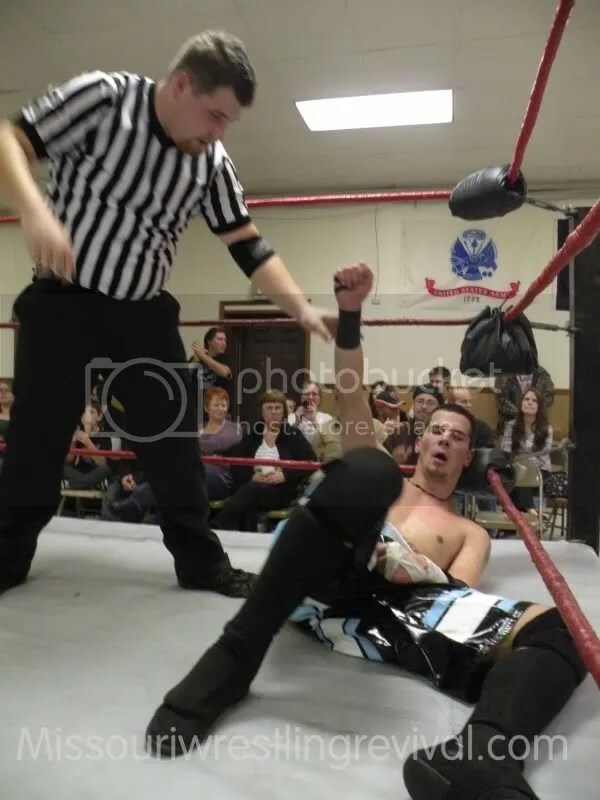 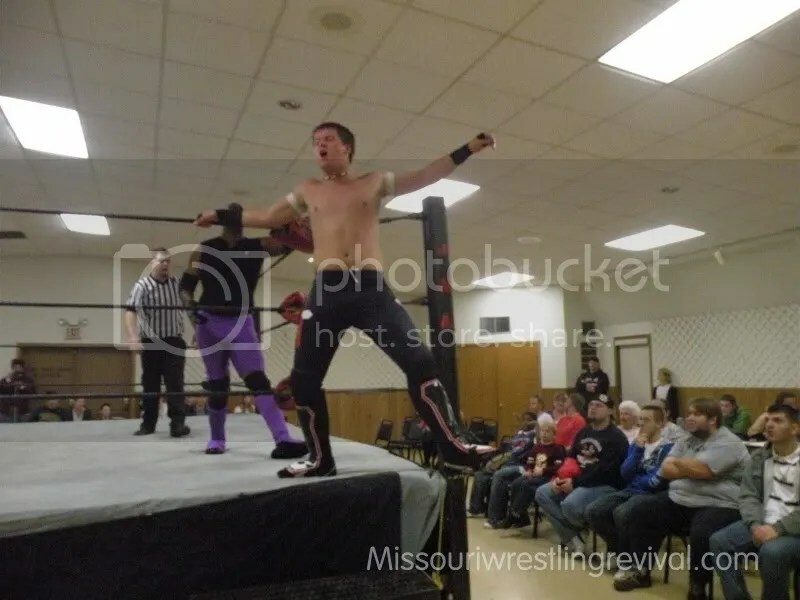 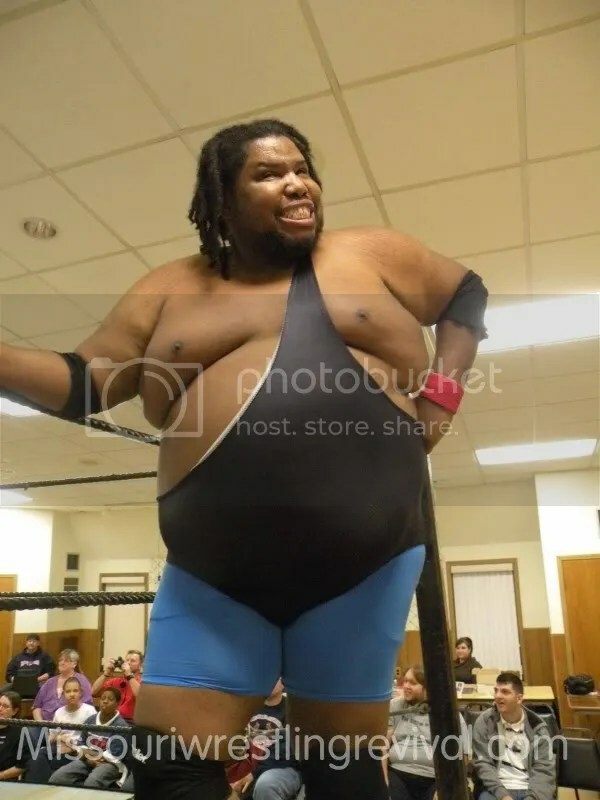 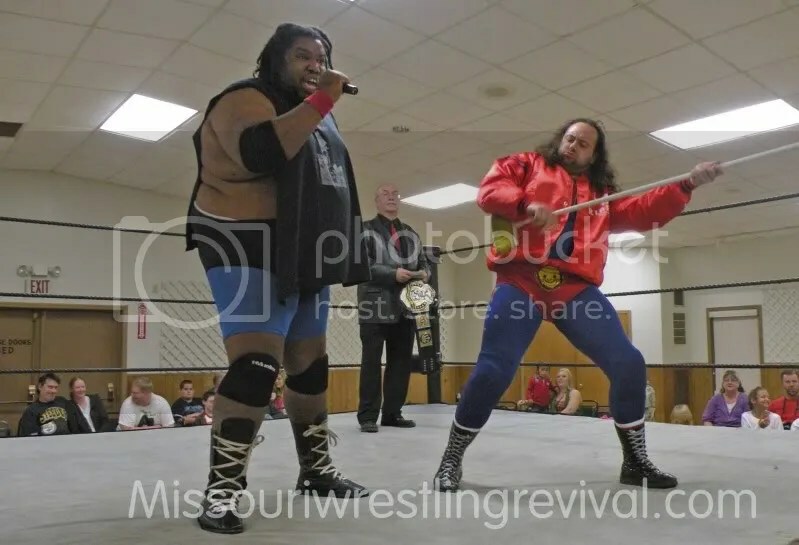 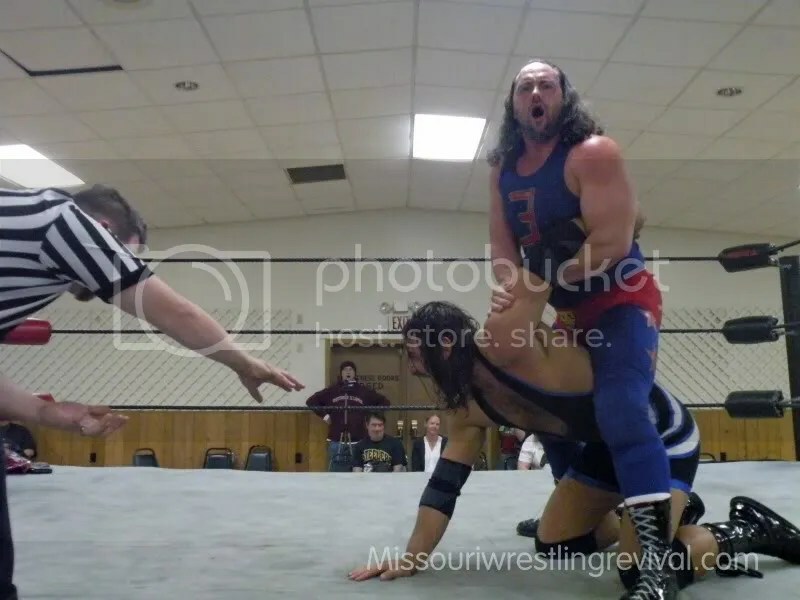 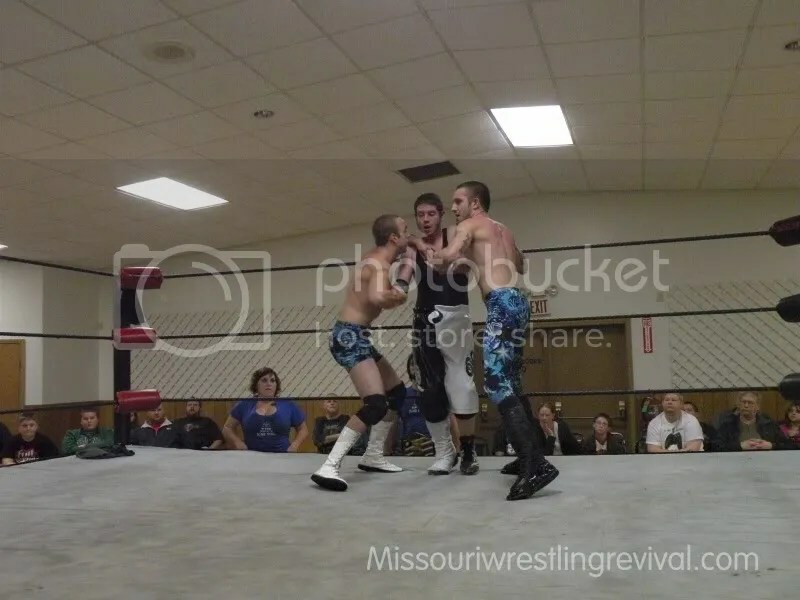 Watch for part two of Missouri Wrestling Revival’s coverage of the huge main event that saw PWE Champion the Mississippi Madman team up with Eugene go at it against “The Future” Donovan Riddick and Mason Beck with Mr Late Nite. 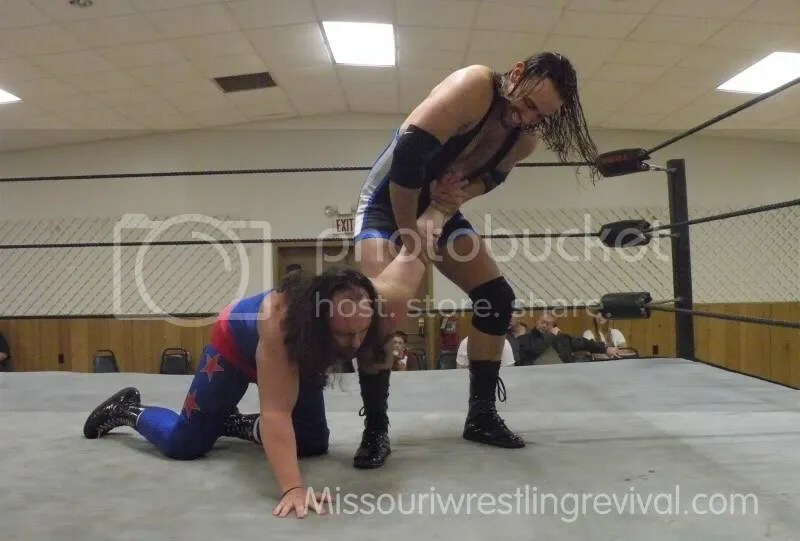 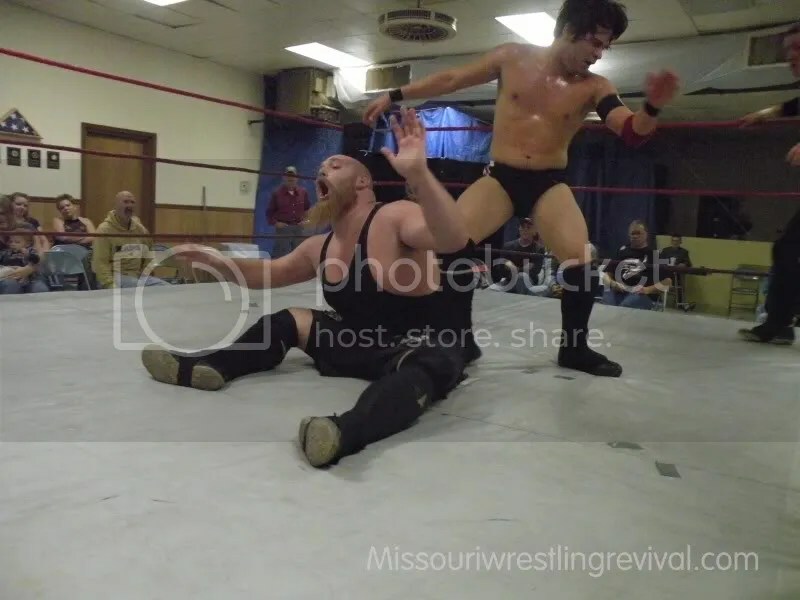 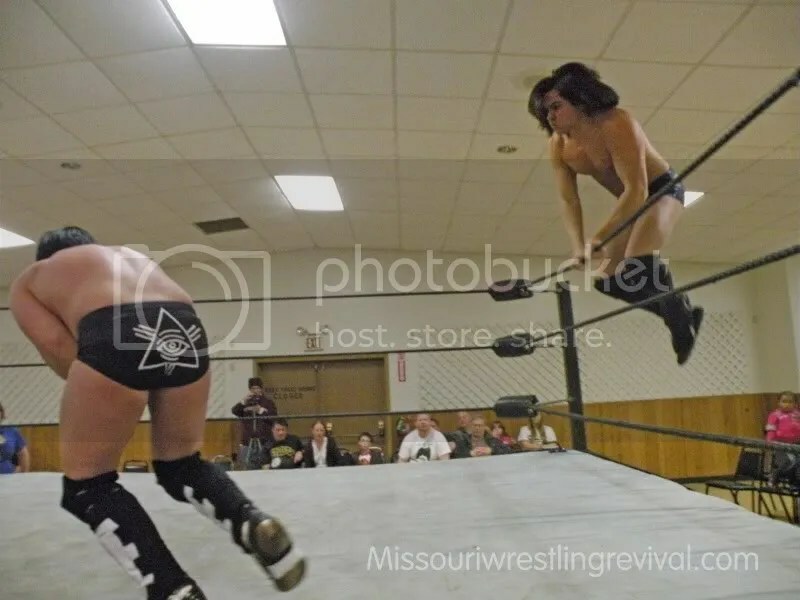 Missouri Wrestling Revival caught up with LWA President Luke Roberts, and Evan Gelstico as he gets ready to hook up with one of the Hottest wrestlers today Davey Vega. 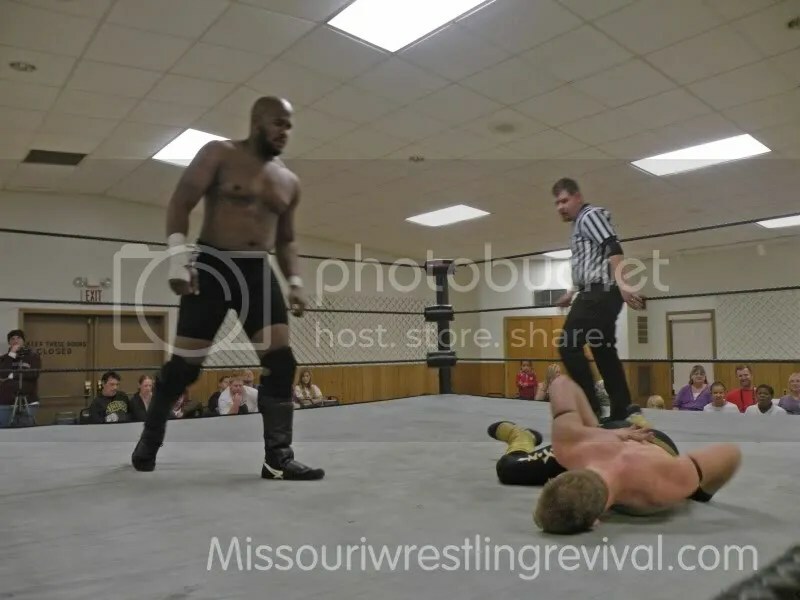 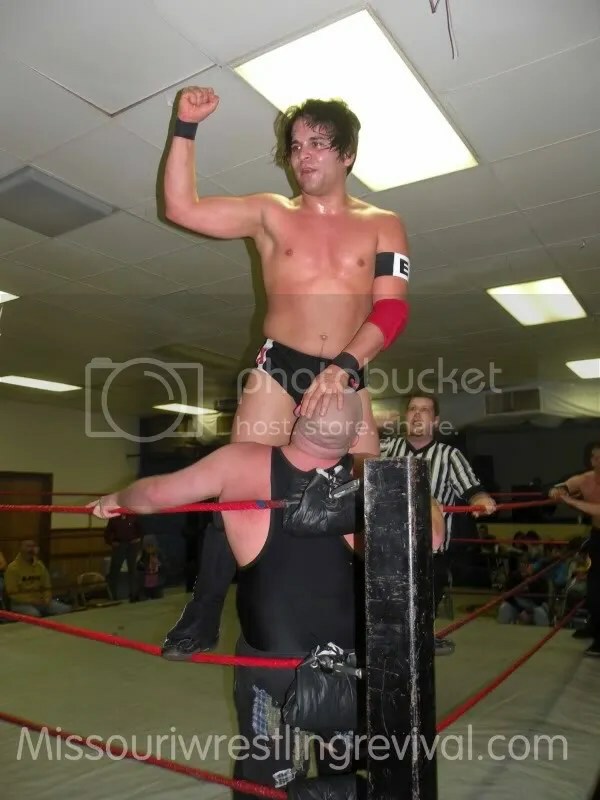 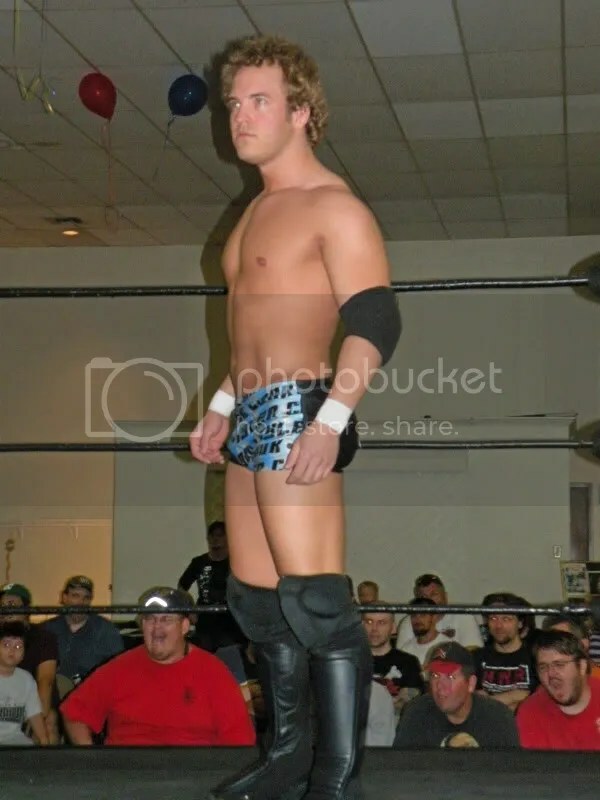 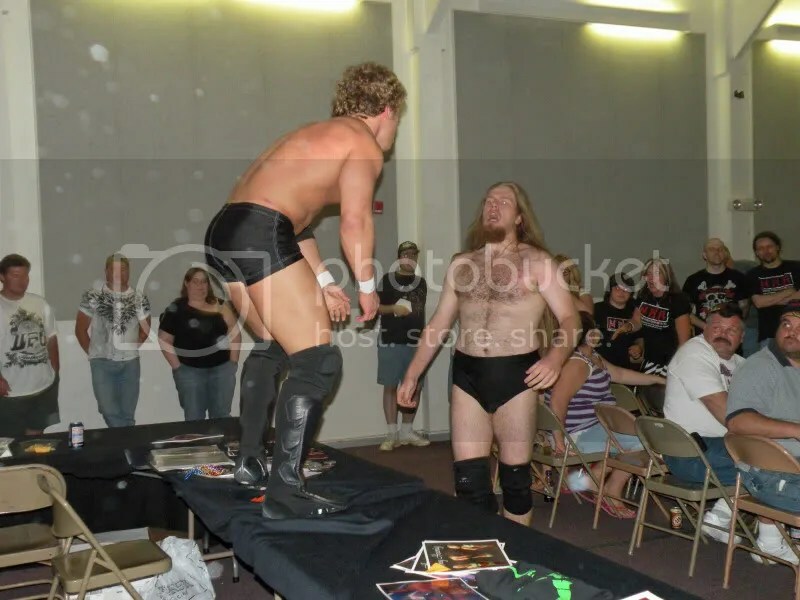 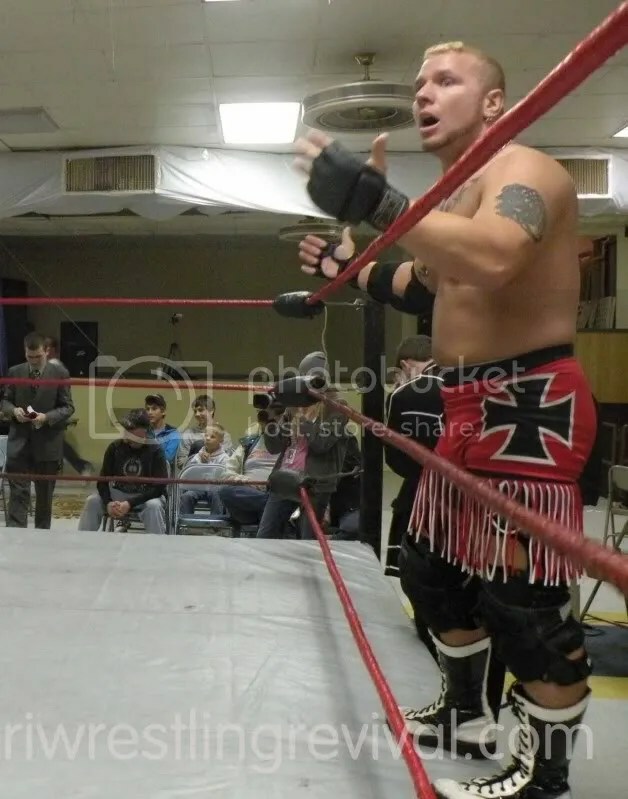 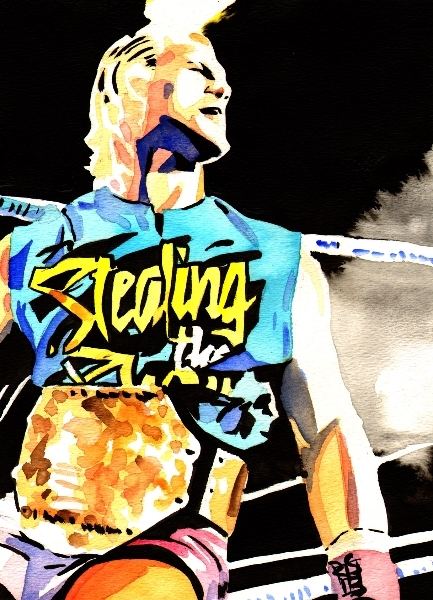 Pierre Abernathy speaks on his battle with Jeremy “The Rebel” Wyatt. 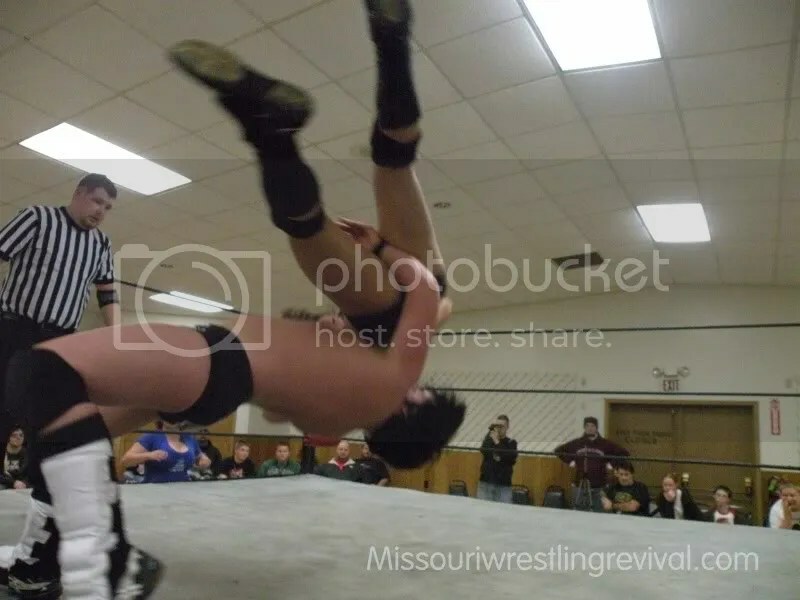 It’s been called many things. 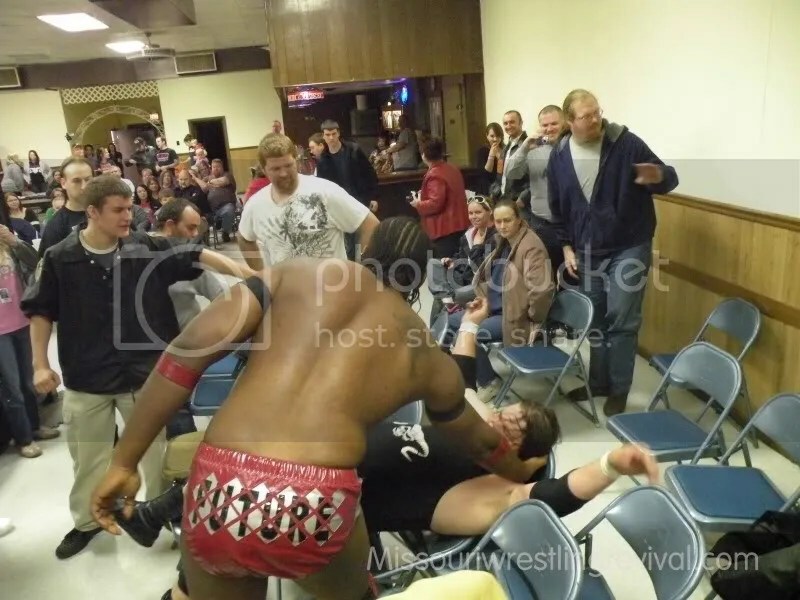 Intense, crazy, and controversial. 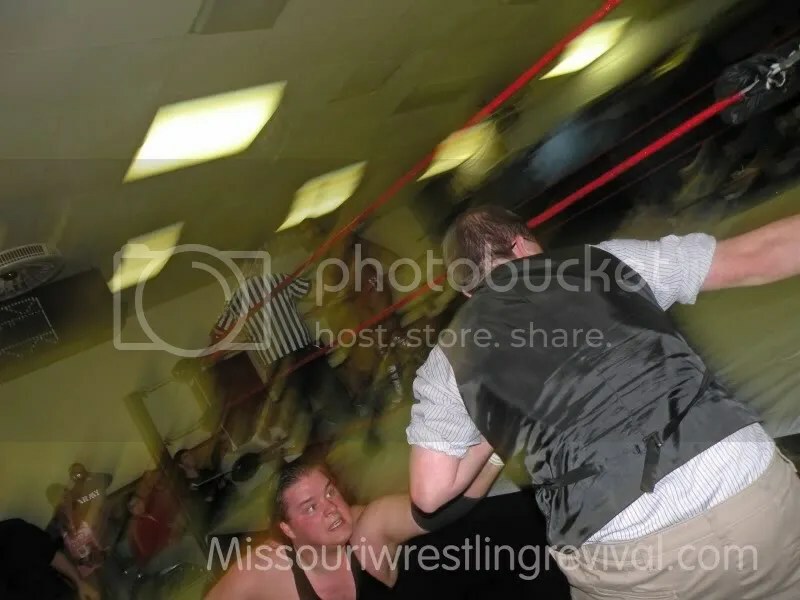 No matter what you call it, the LwA has been serving up the wildest damn brand of Prowrestling for six years! 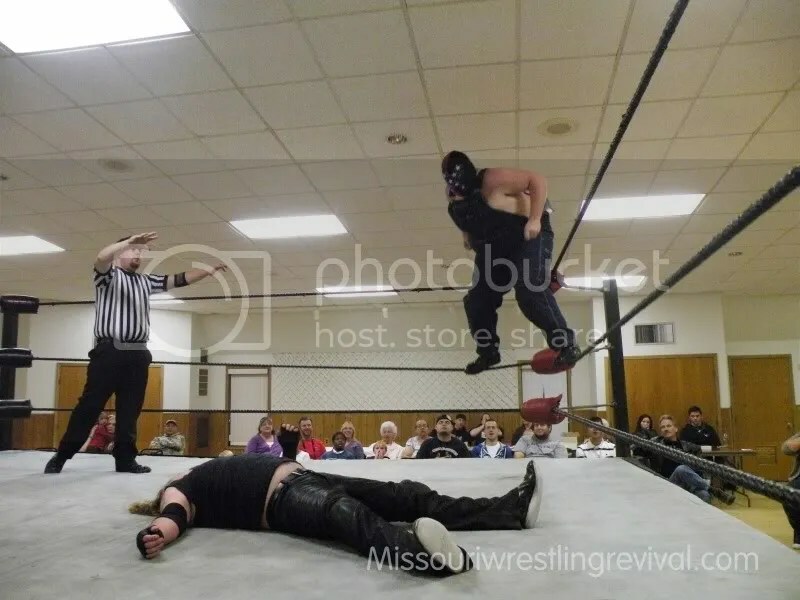 On October 24th at the Knights of Columbus Hall in House Springs, LwA Productions is celebrating their sixth year of running the most outrageous prowrestling show around. 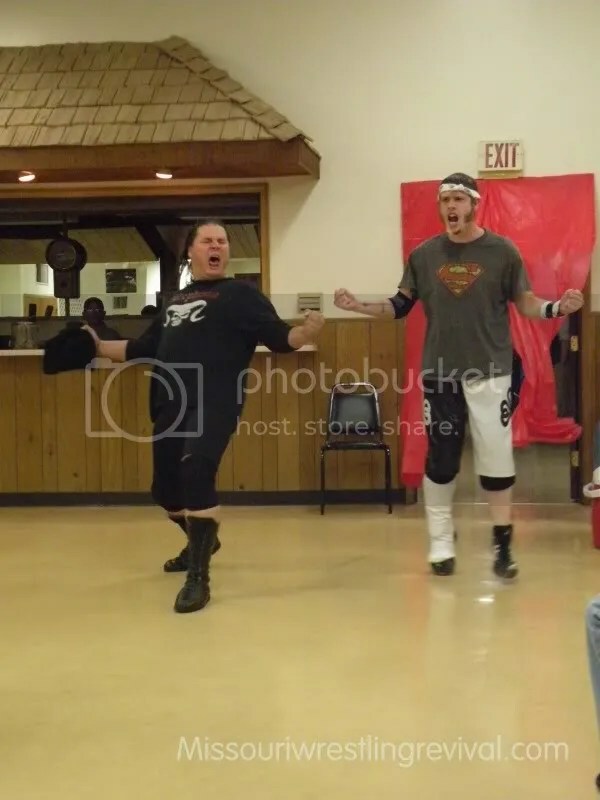 It’s gonna be a huge party, and the celebration will be happening all night long! 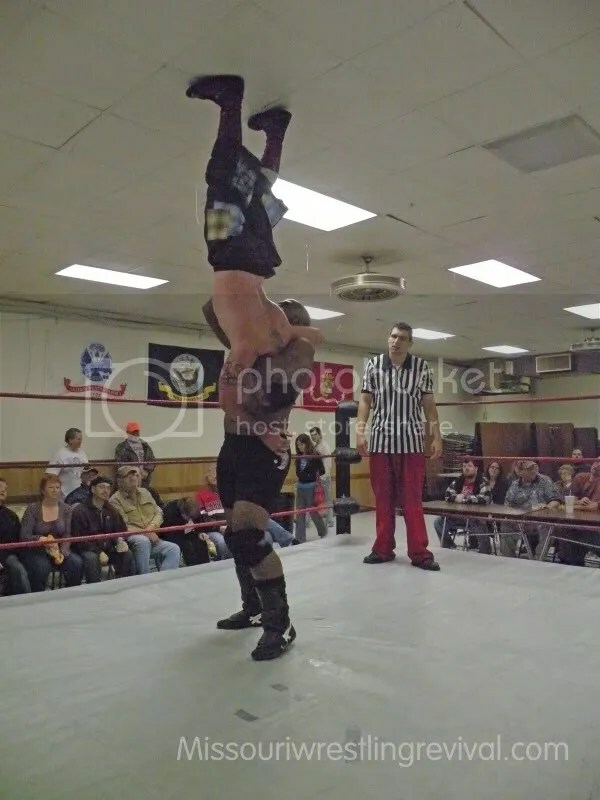 As always, beer is only one dollar, and the card looks to be stacked from top to bottom! 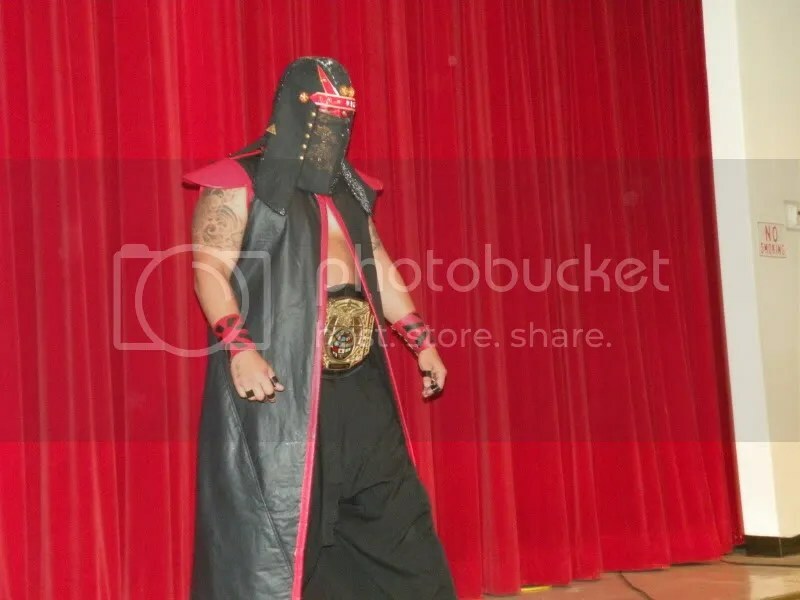 Also in action will be “www.lwawrestling.com/, and many more!